Camford Academy retains the tagline the best ielts coaching centre in Kerala as no other IELTS training institutes in Kerala can match our professionalism in handling the four modules of IELTS. We are proud to be on top for best IELTS class in India. 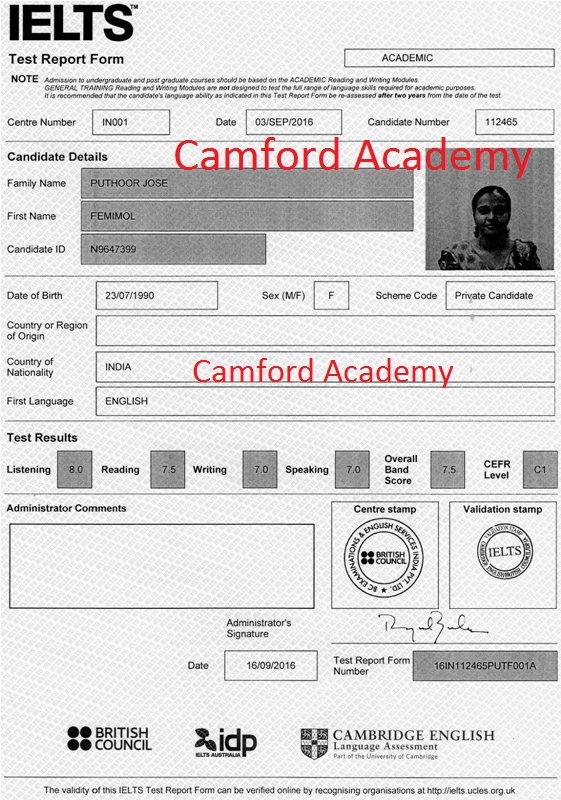 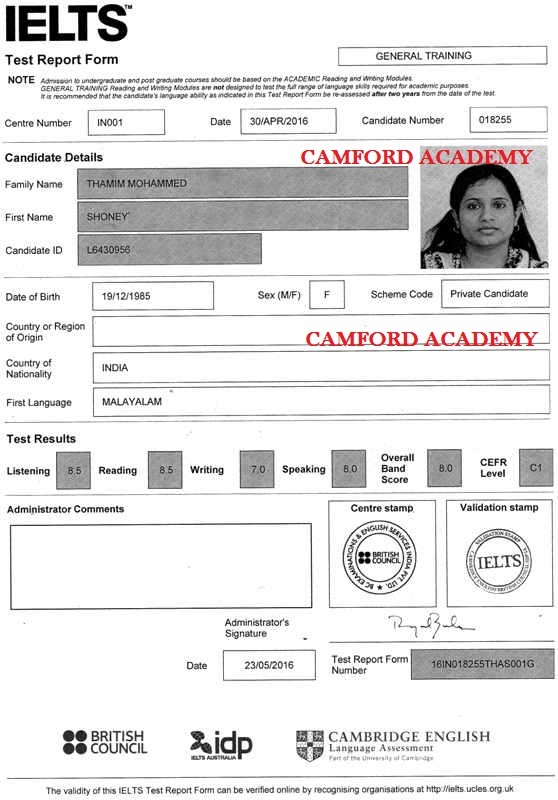 Camford Academy in Trivandrum proudly shares the IELTS certificates / the Test Report Forms of the IELTS results of our students with 7 + in each module like Listening, Reading, Writing and Speaking. 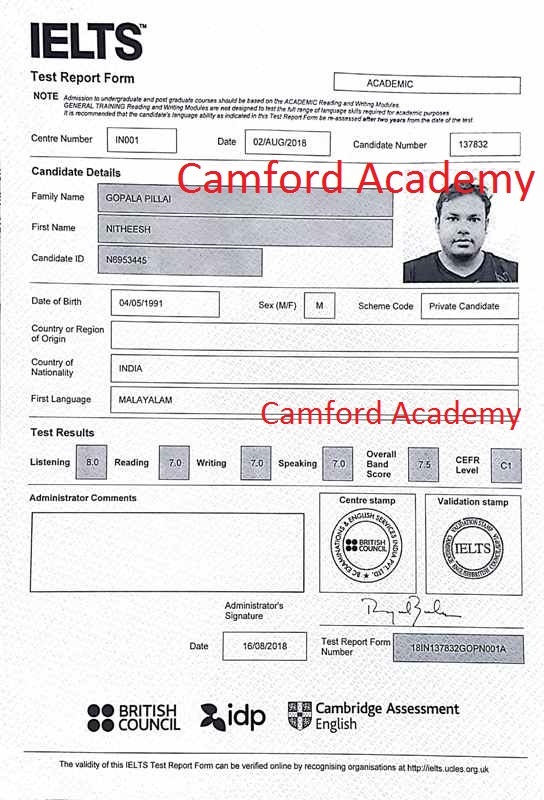 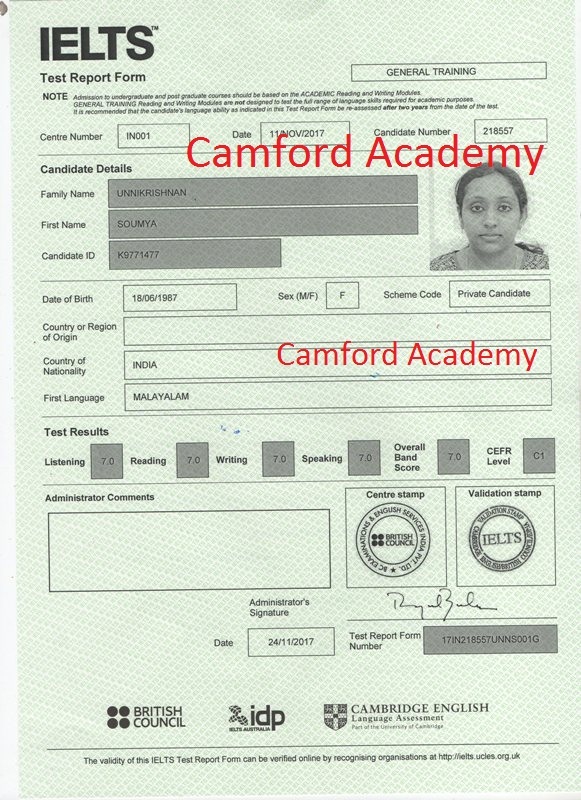 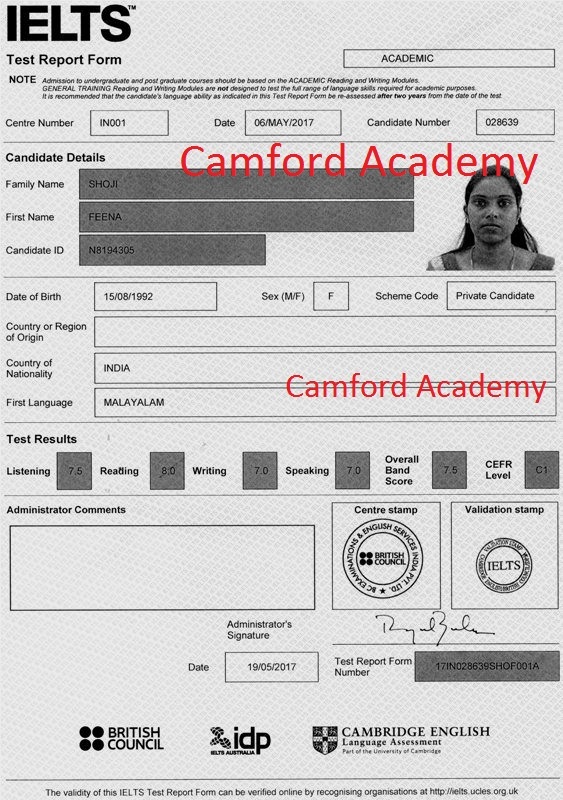 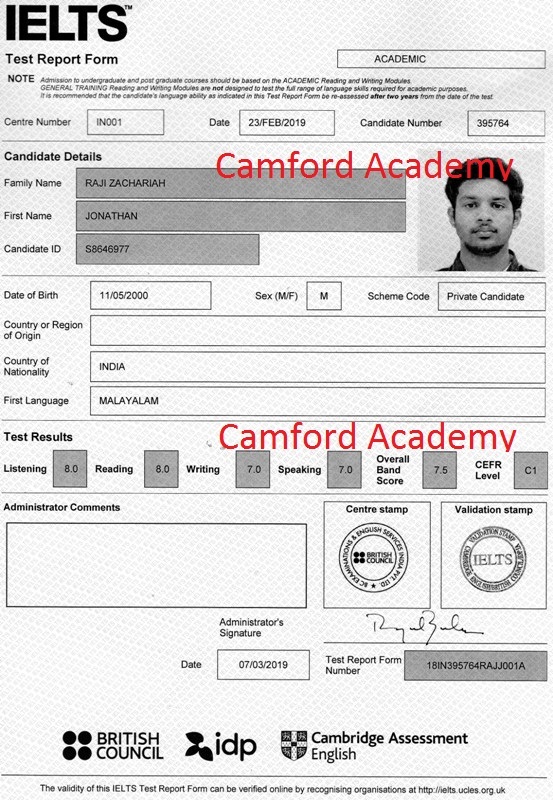 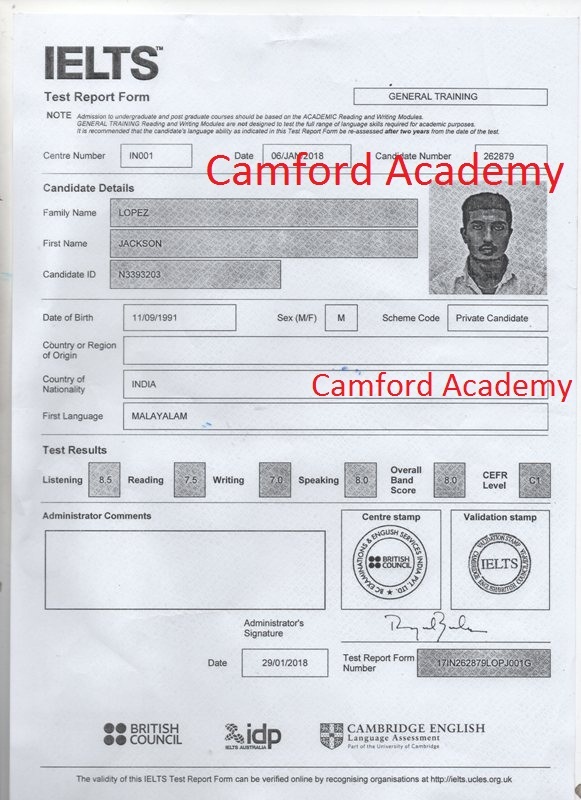 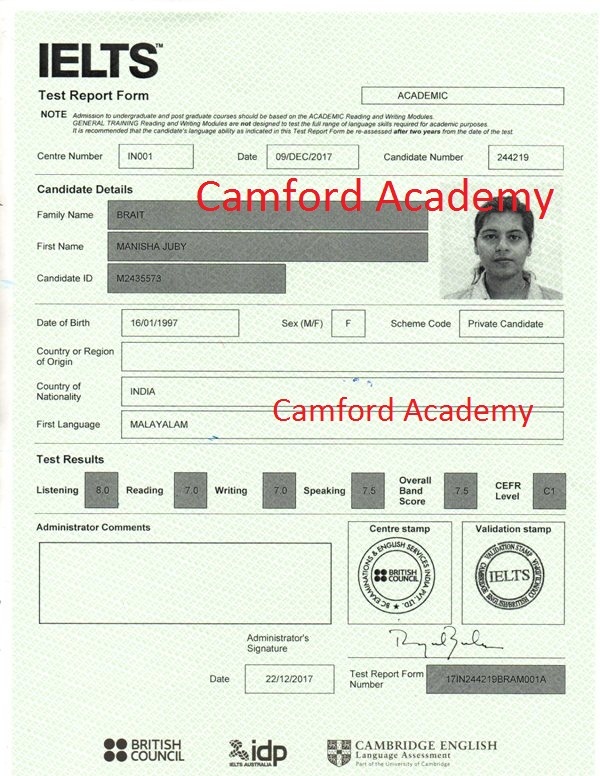 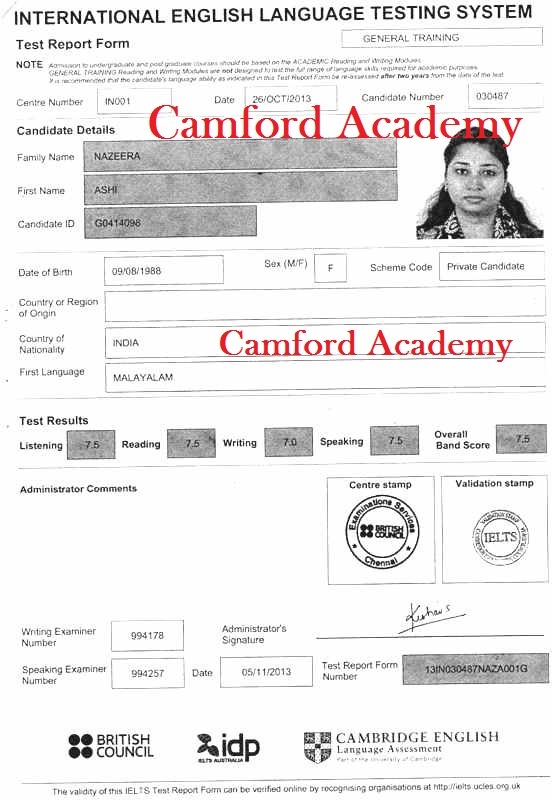 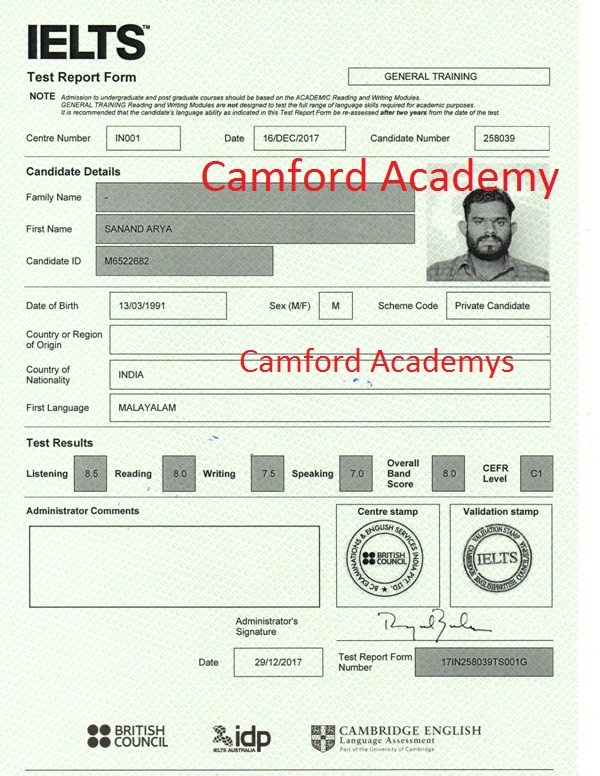 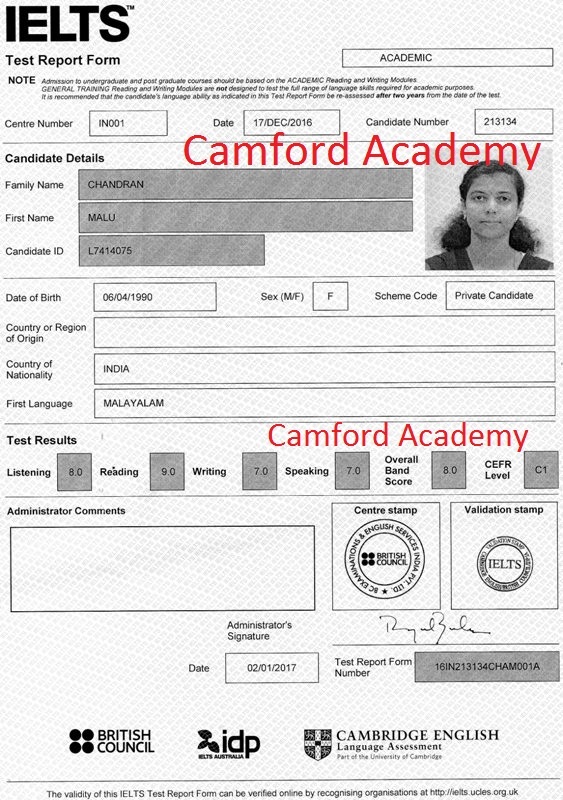 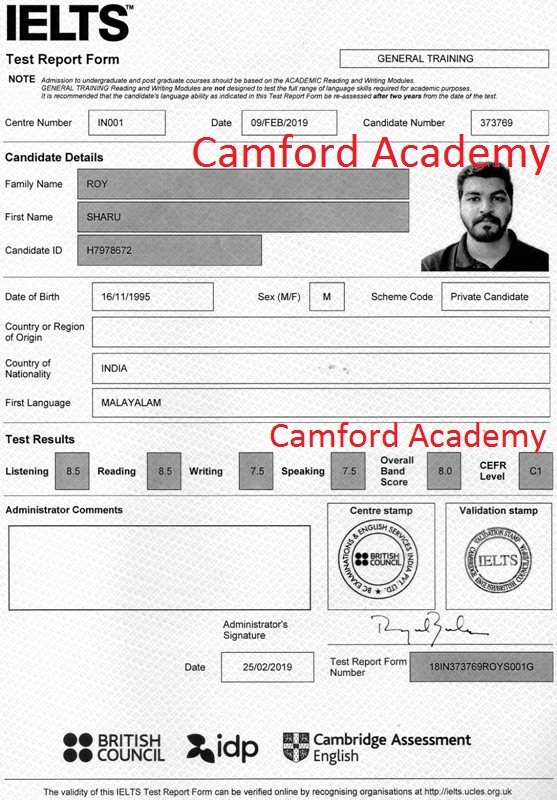 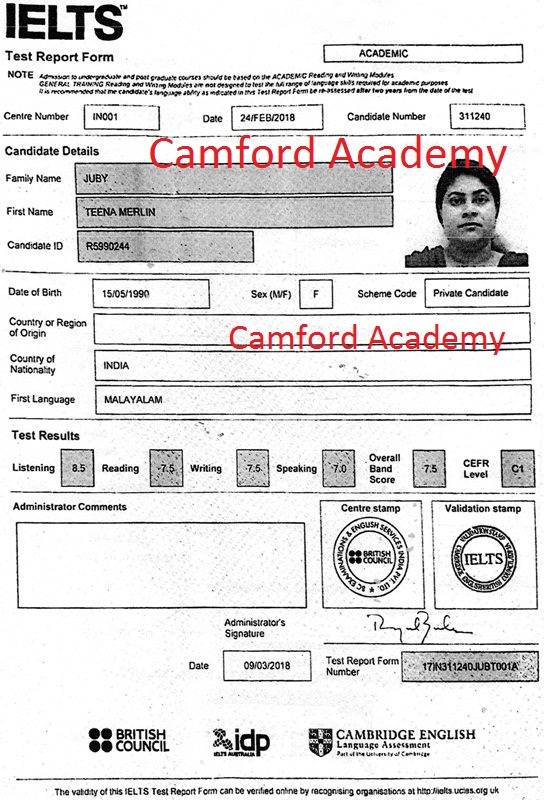 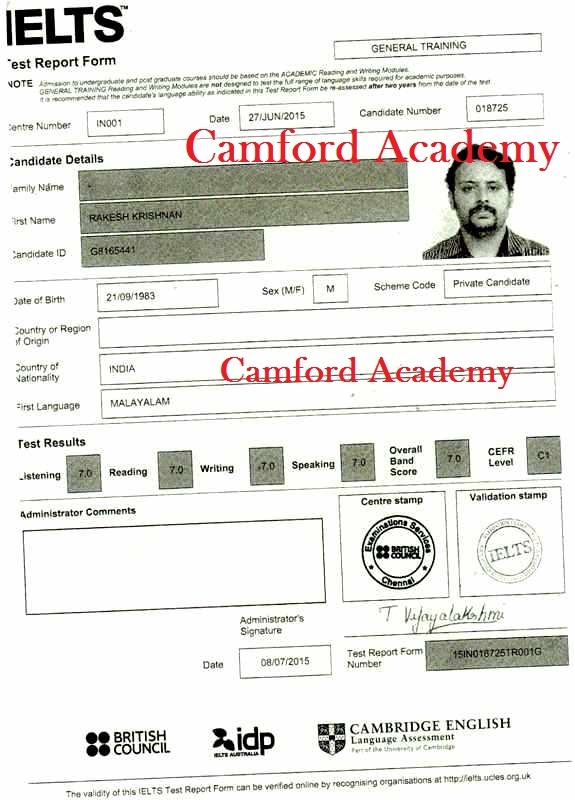 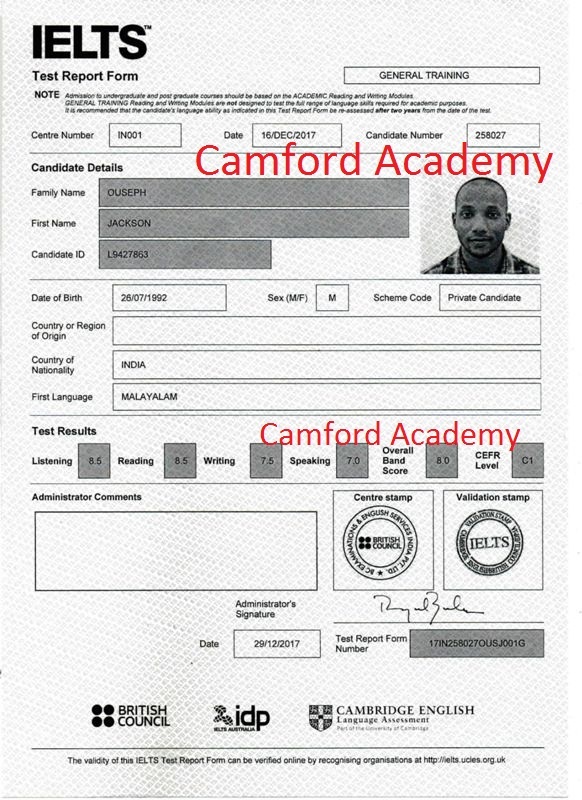 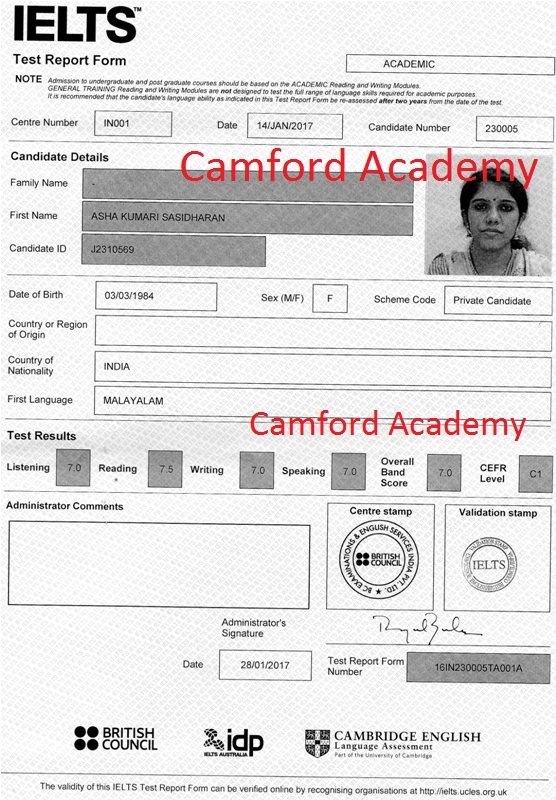 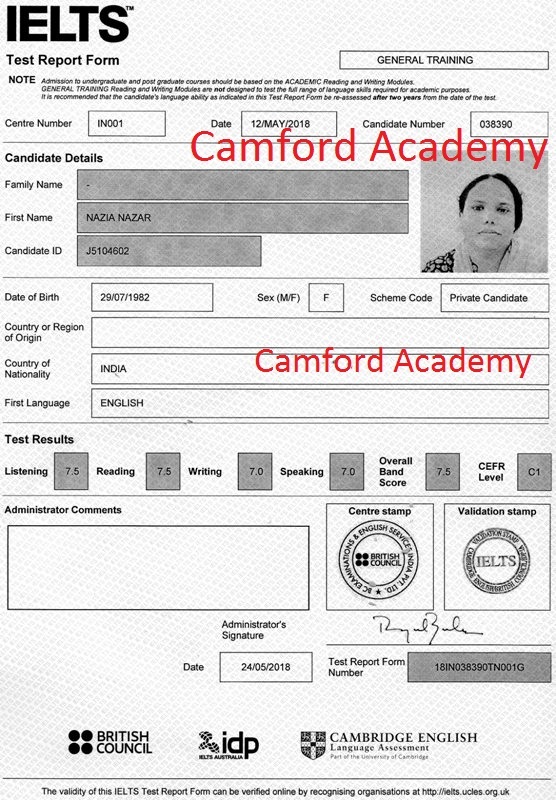 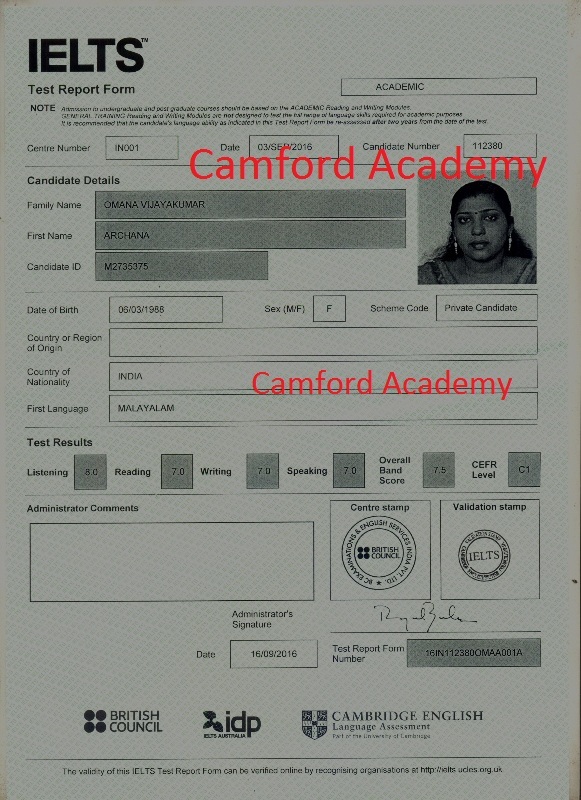 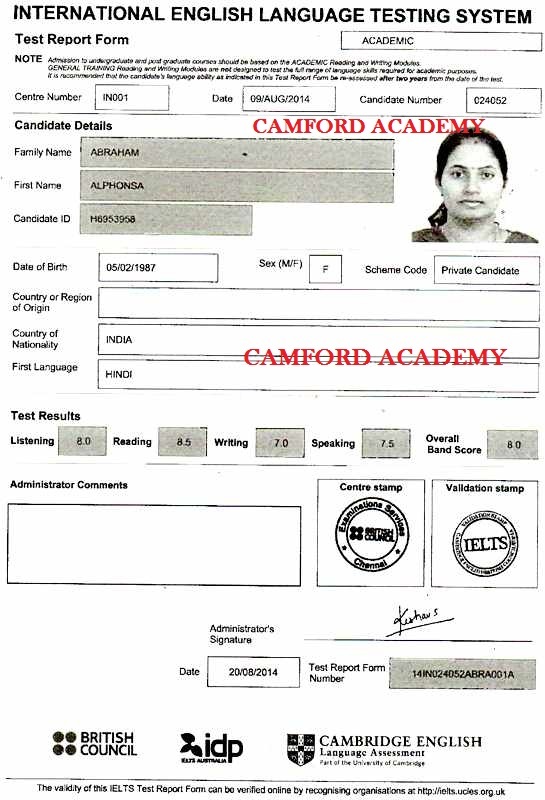 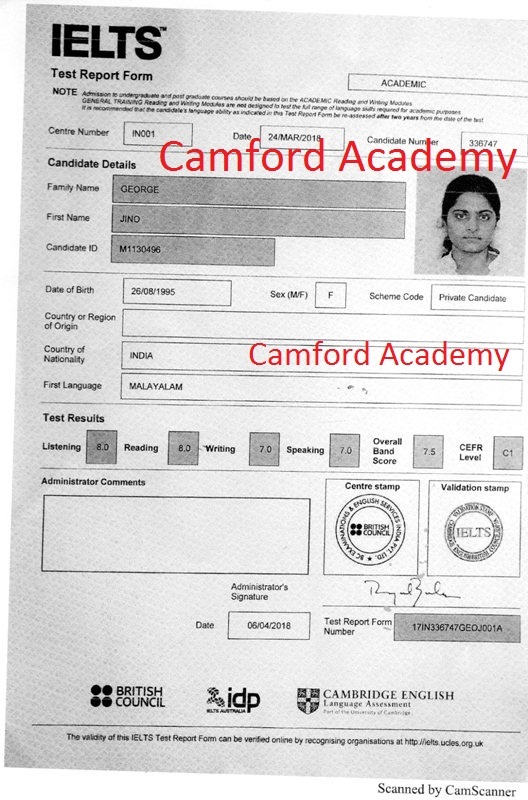 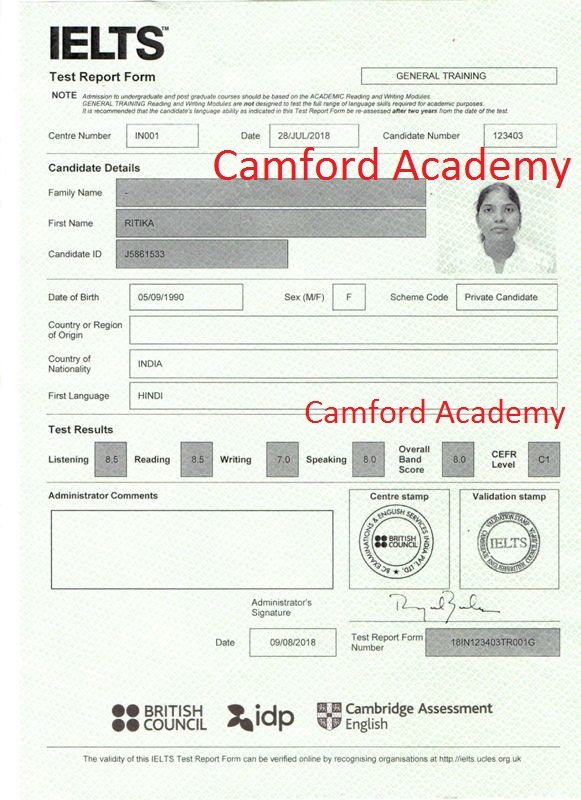 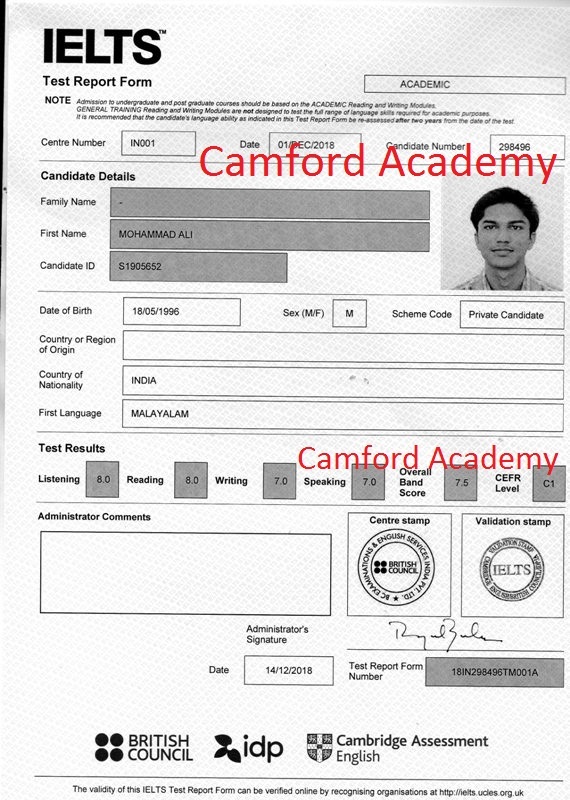 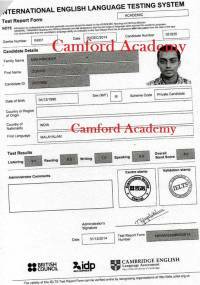 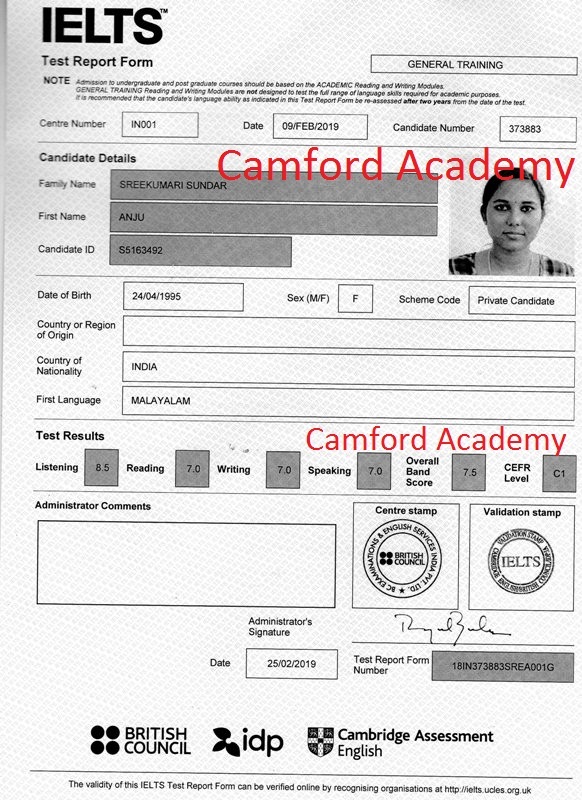 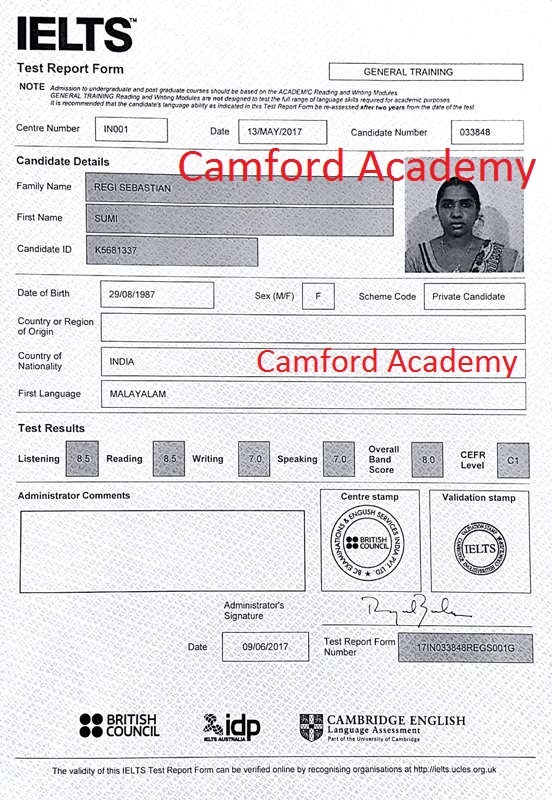 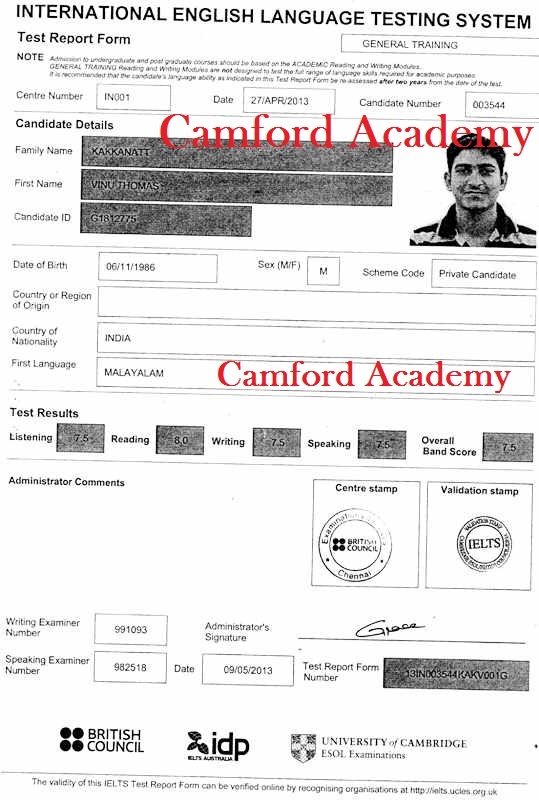 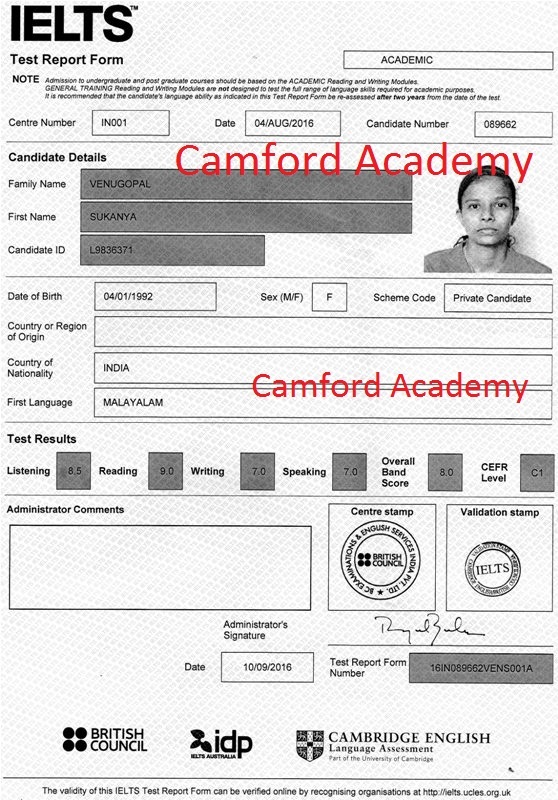 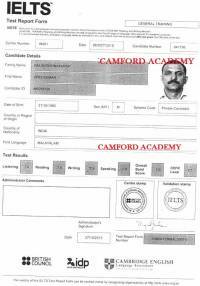 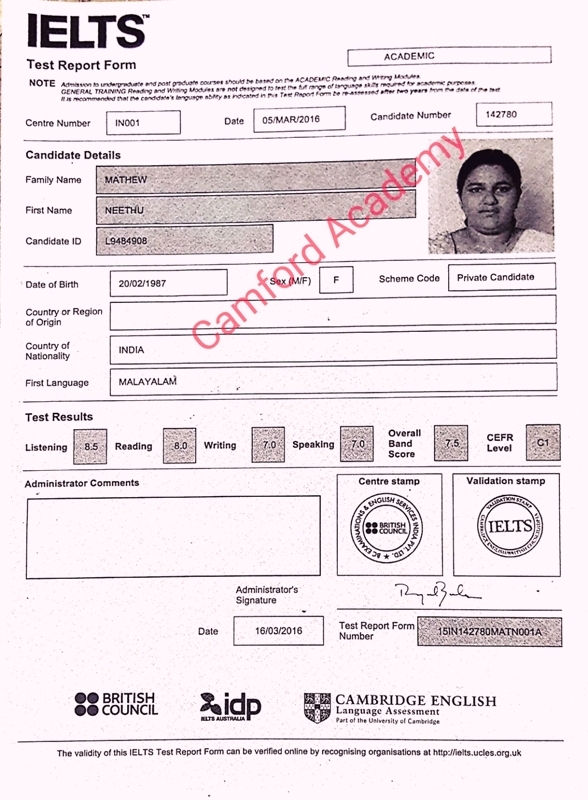 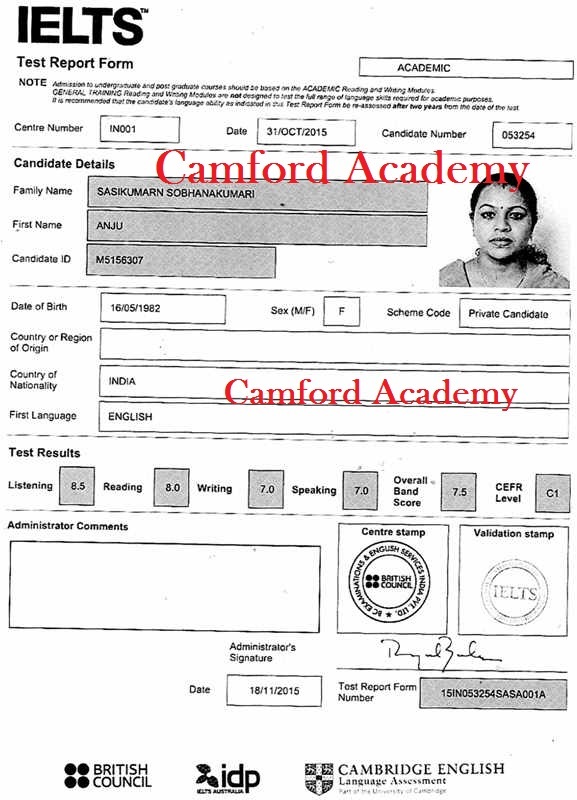 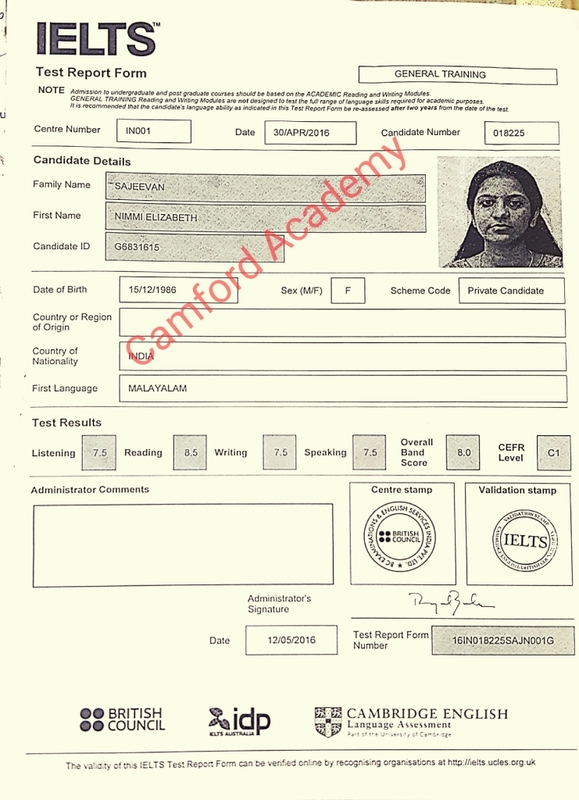 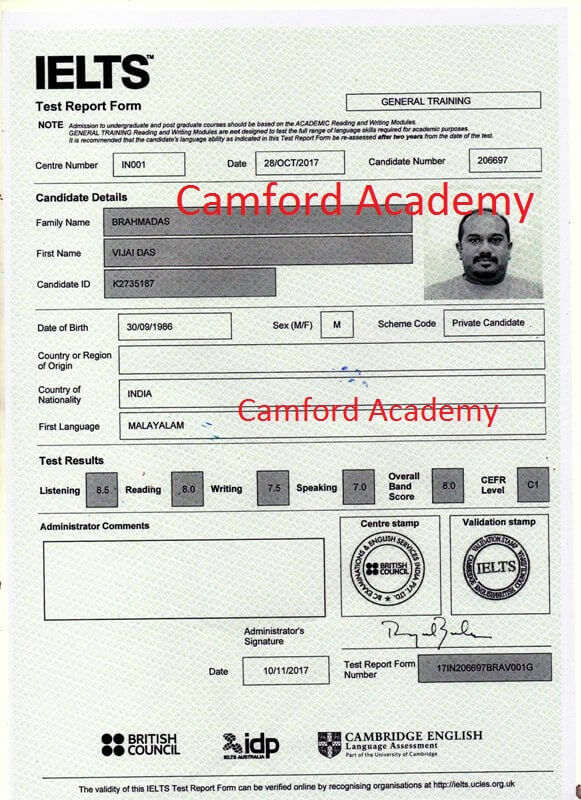 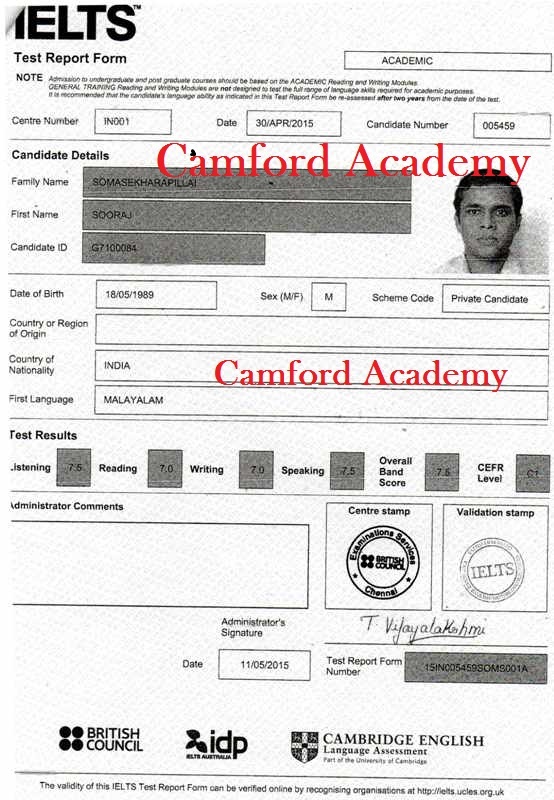 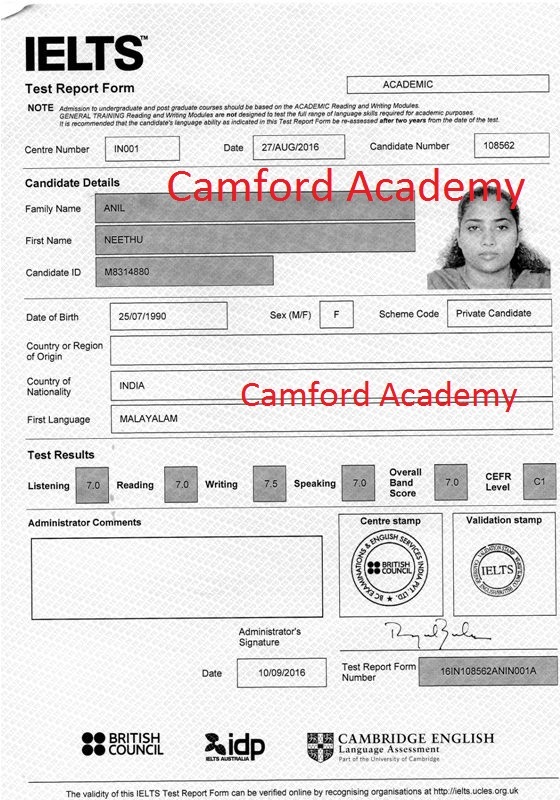 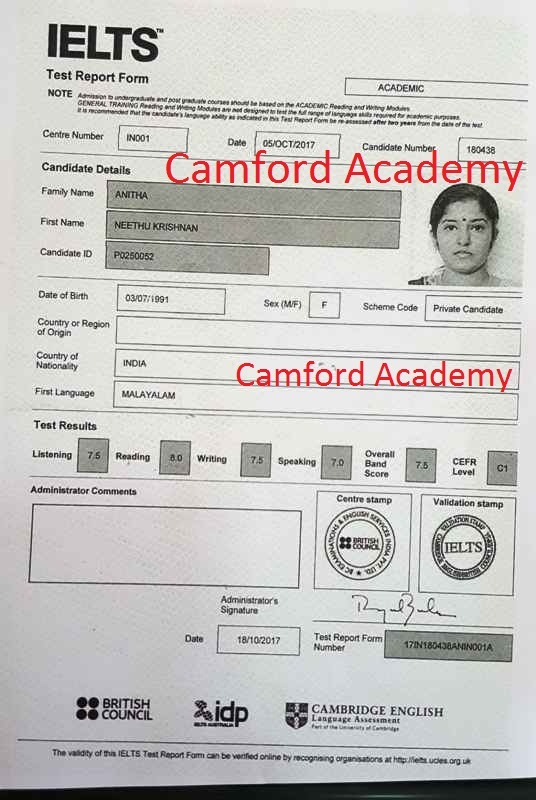 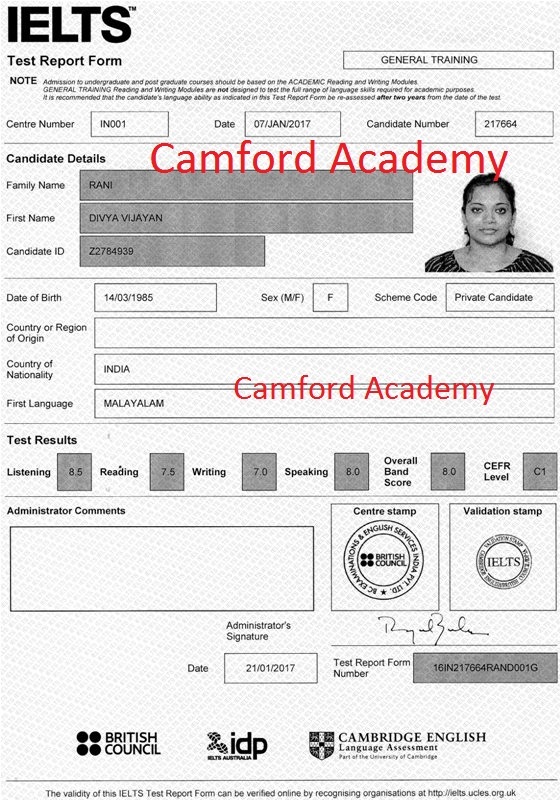 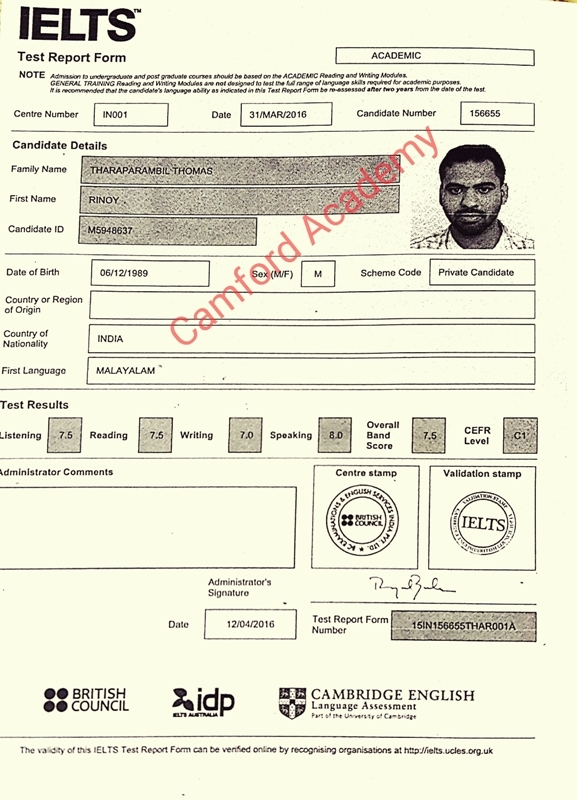 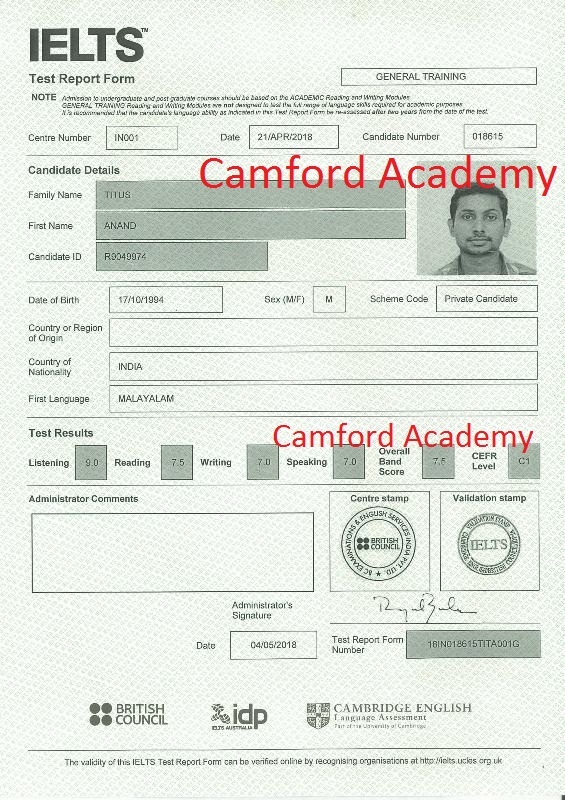 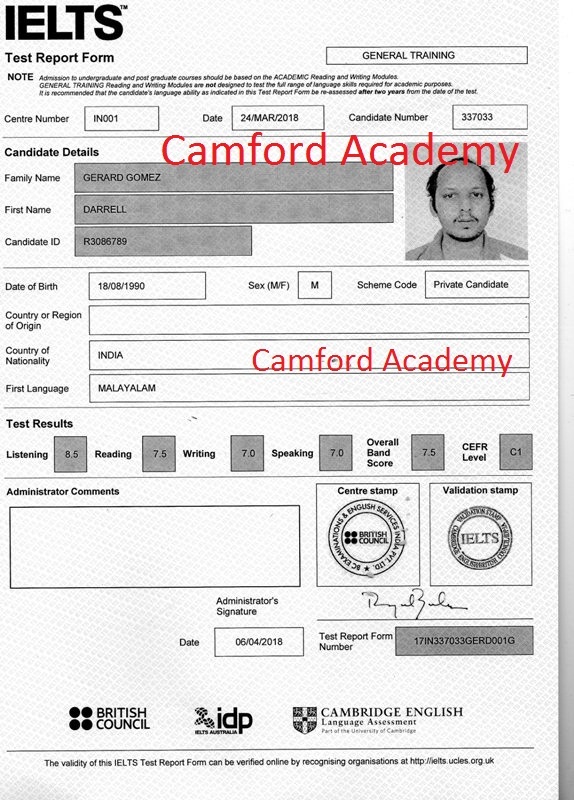 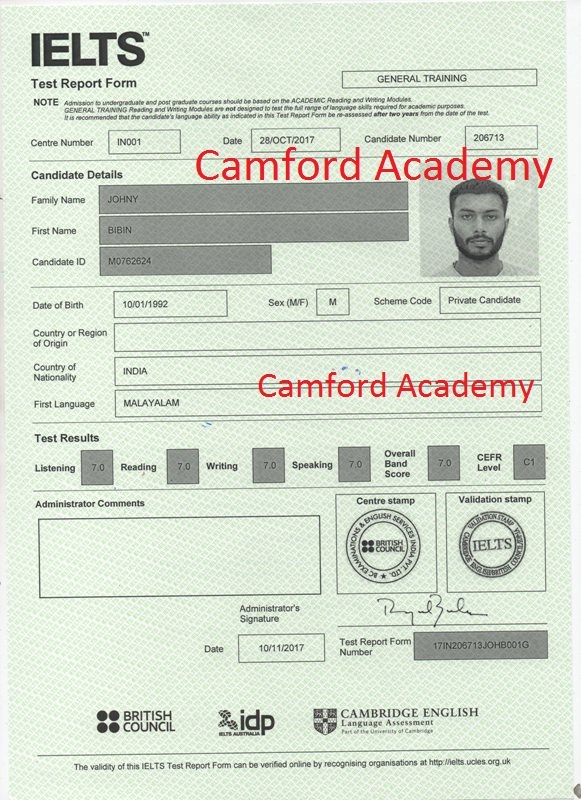 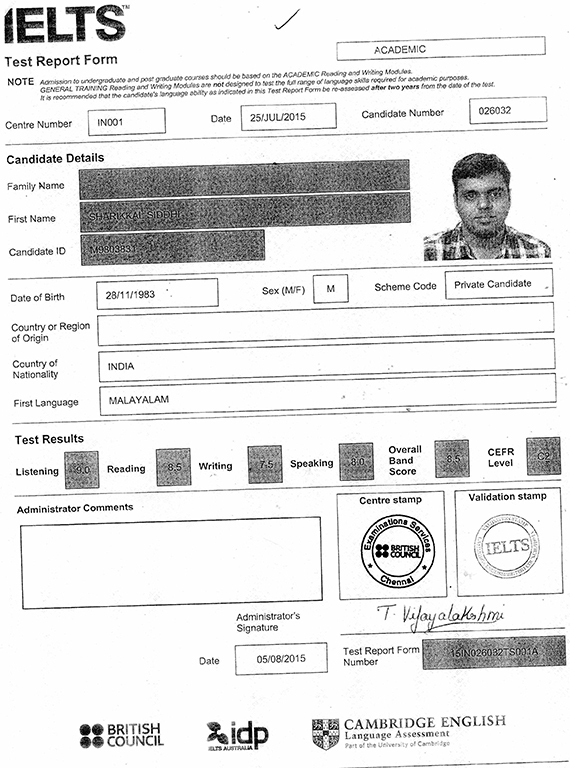 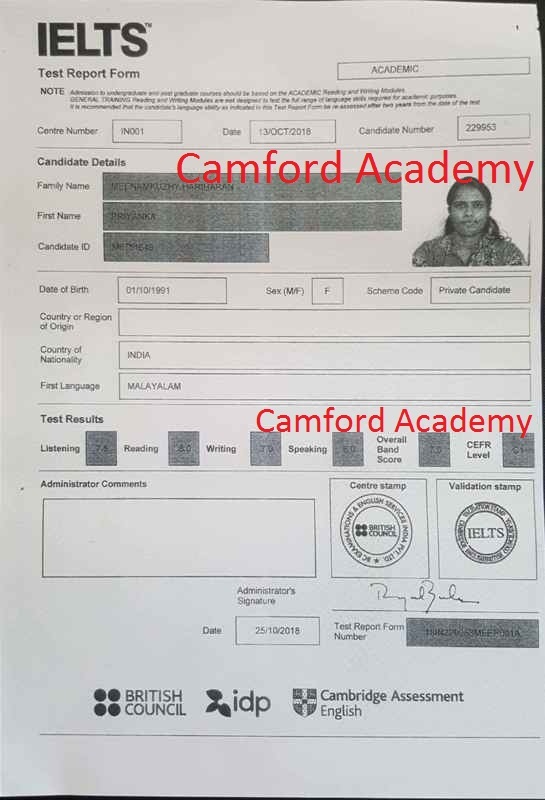 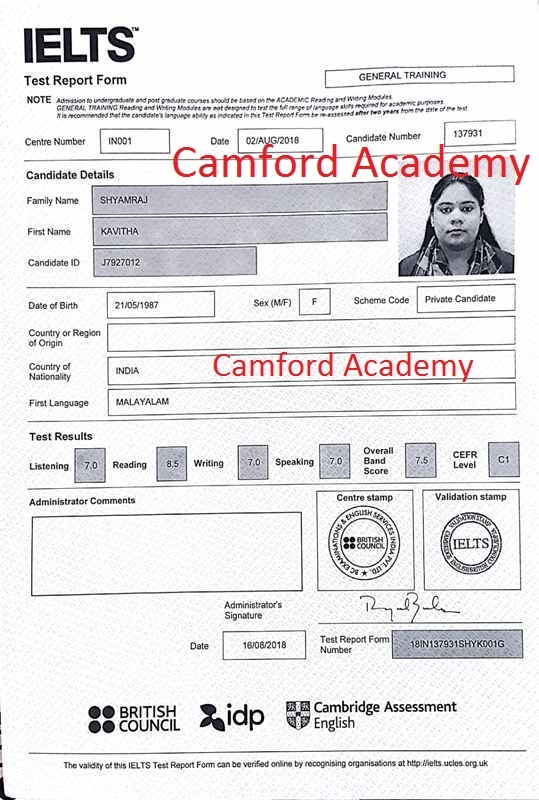 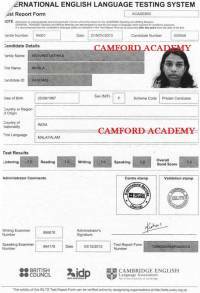 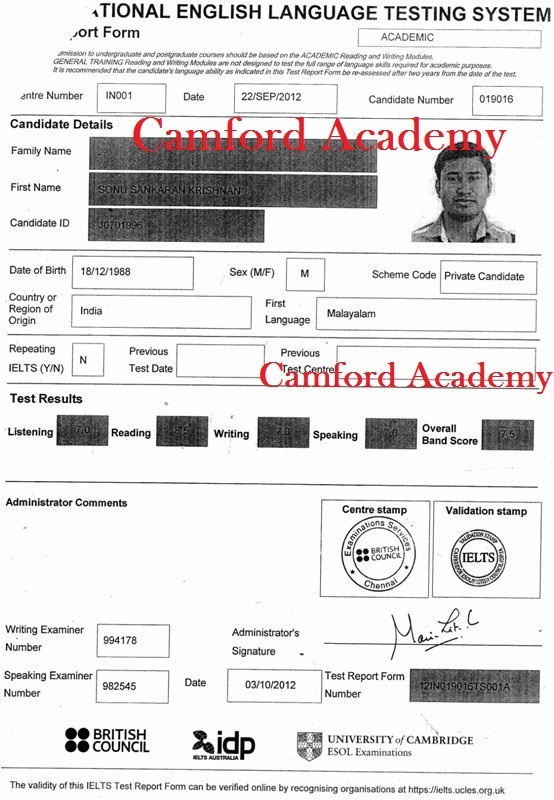 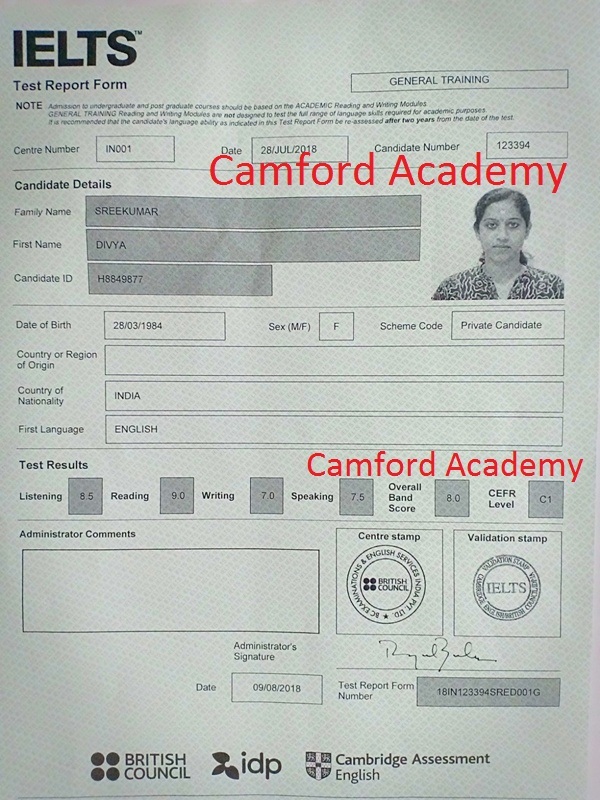 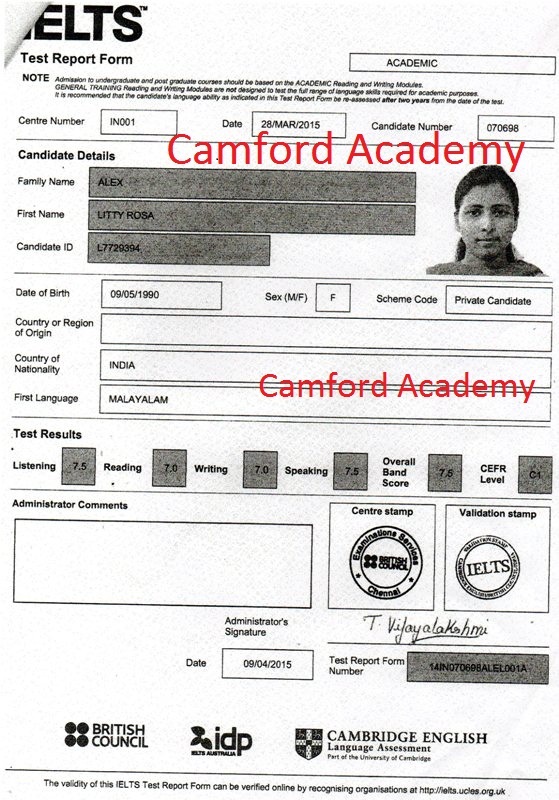 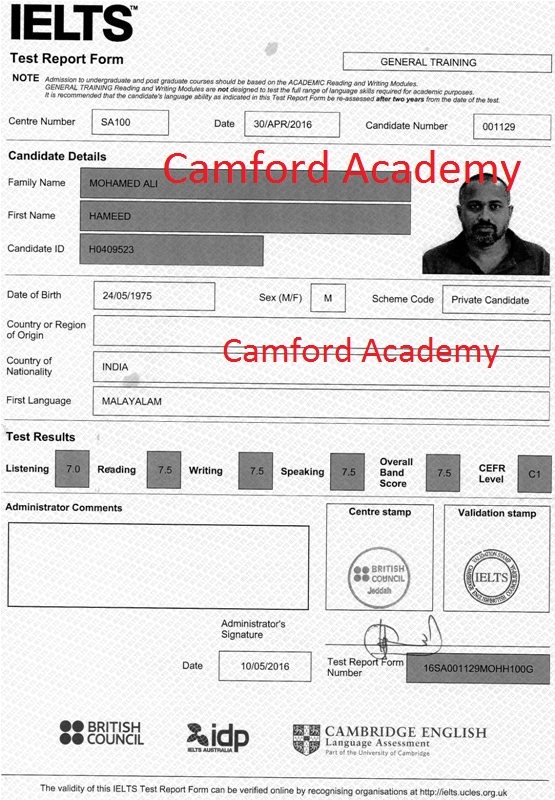 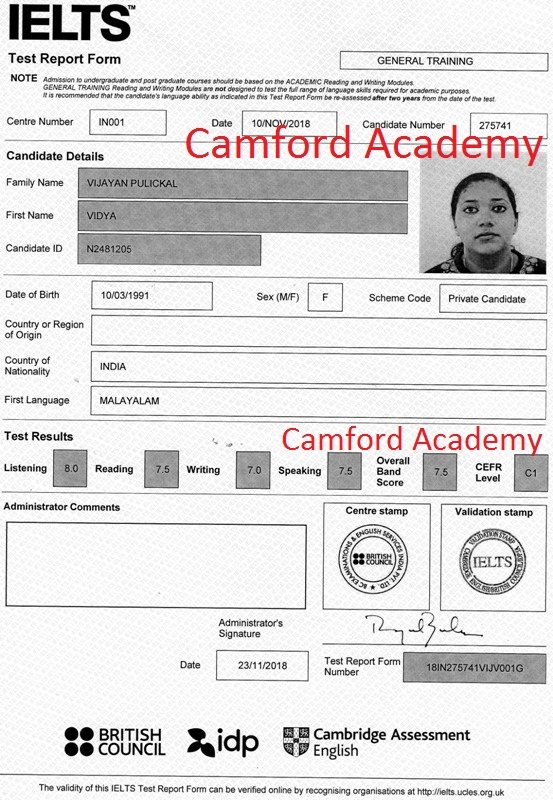 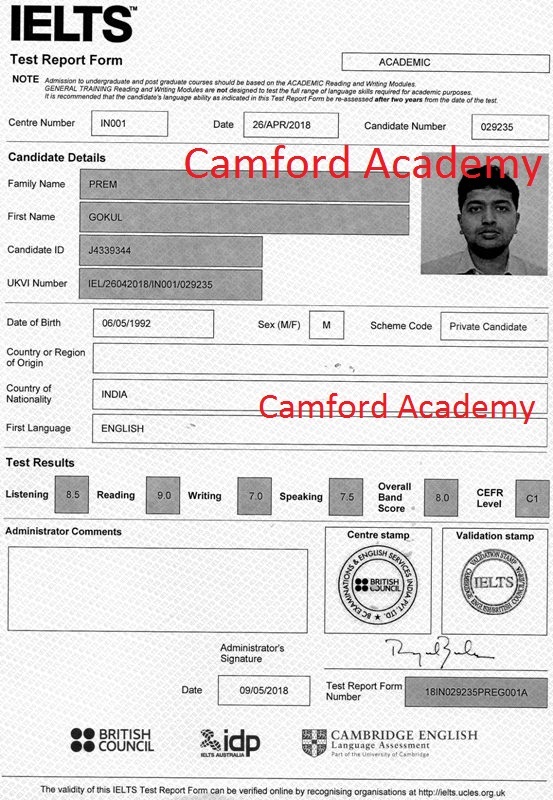 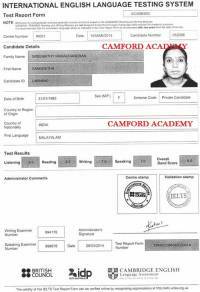 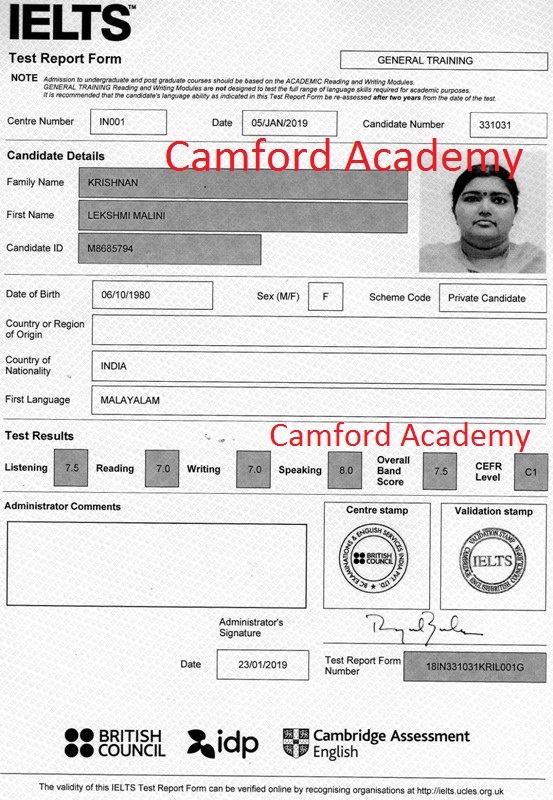 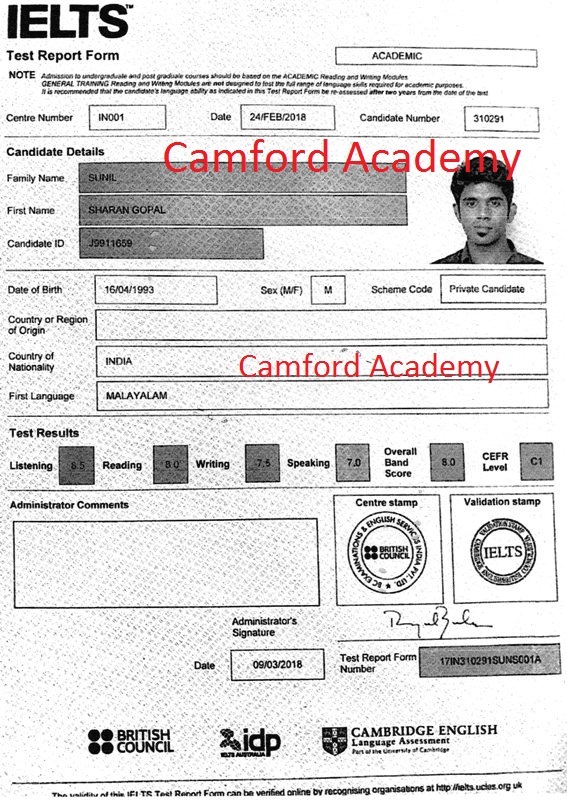 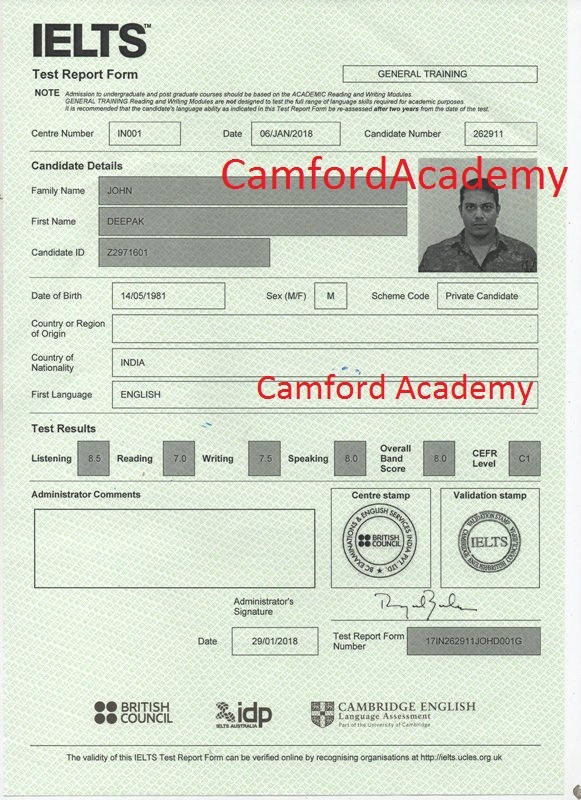 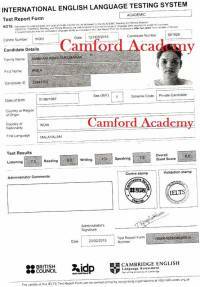 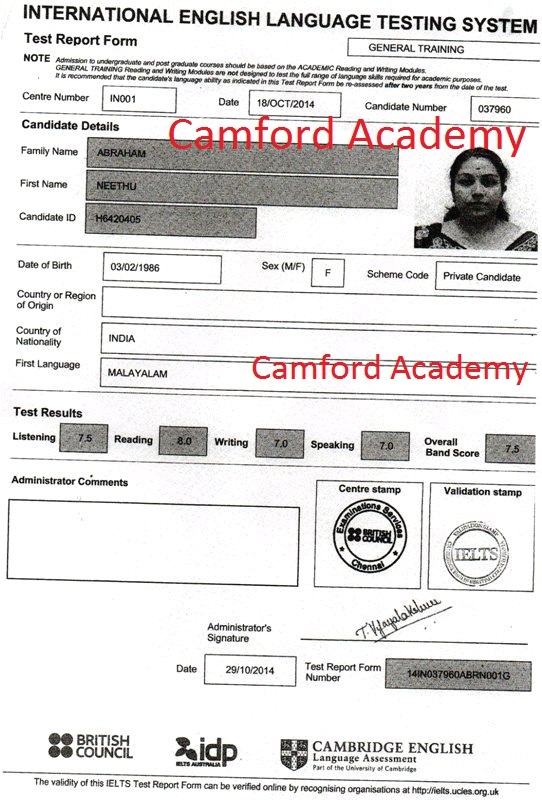 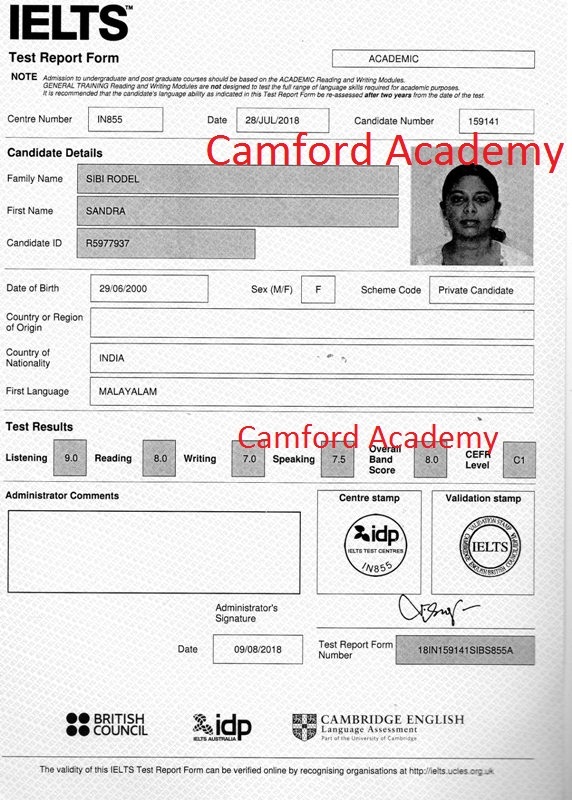 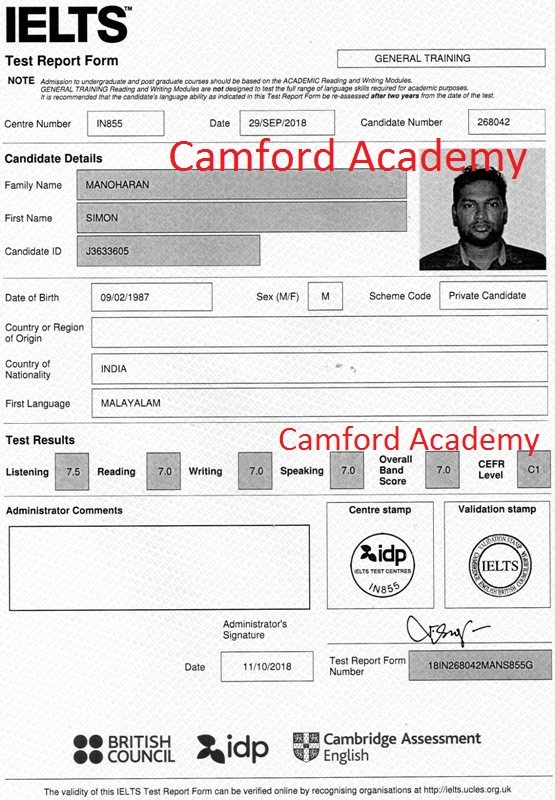 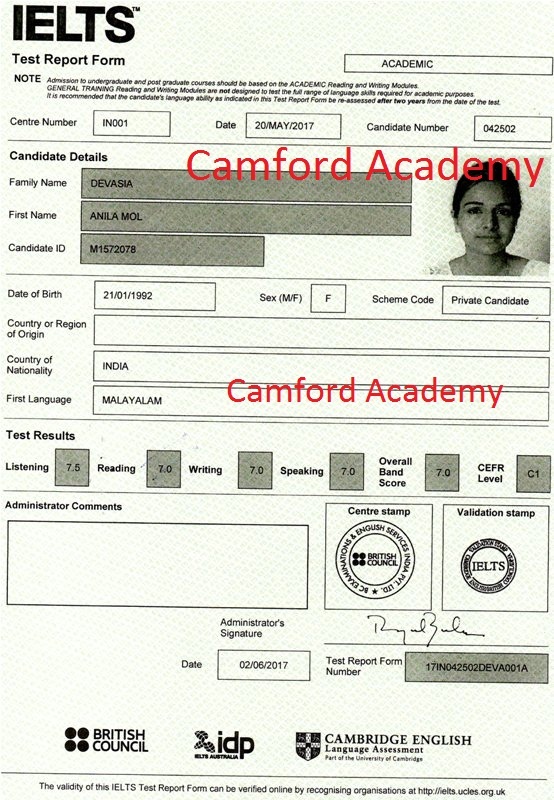 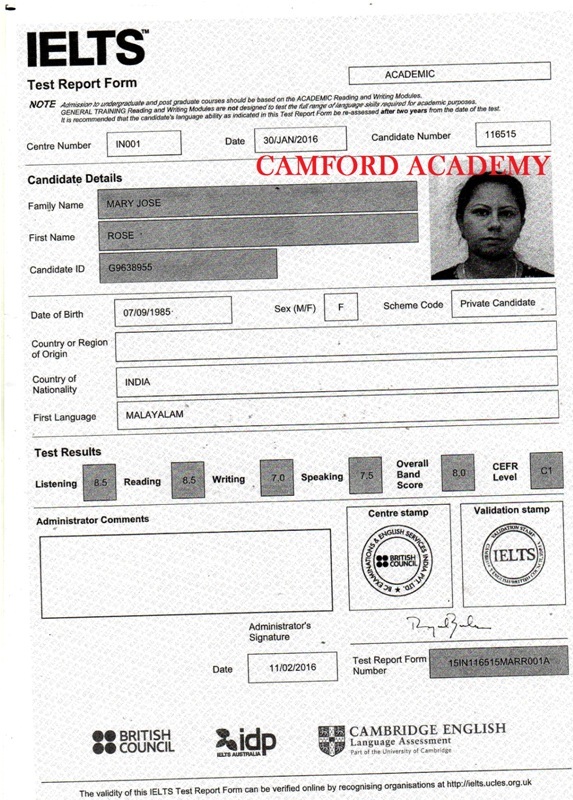 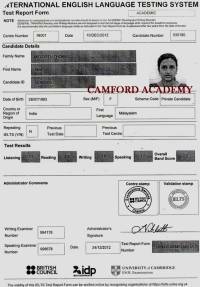 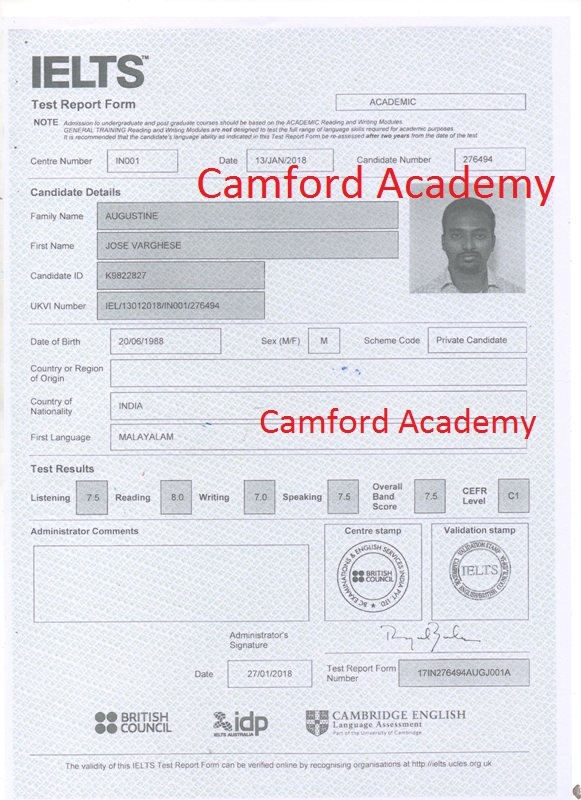 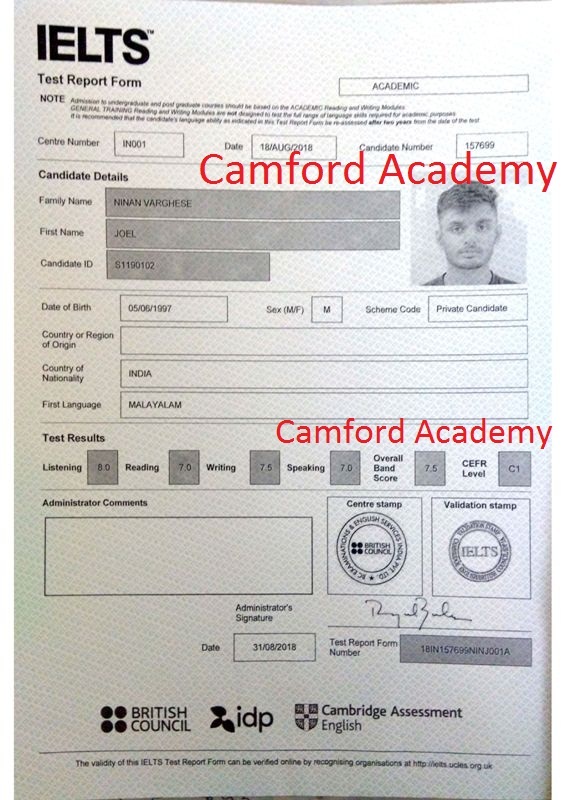 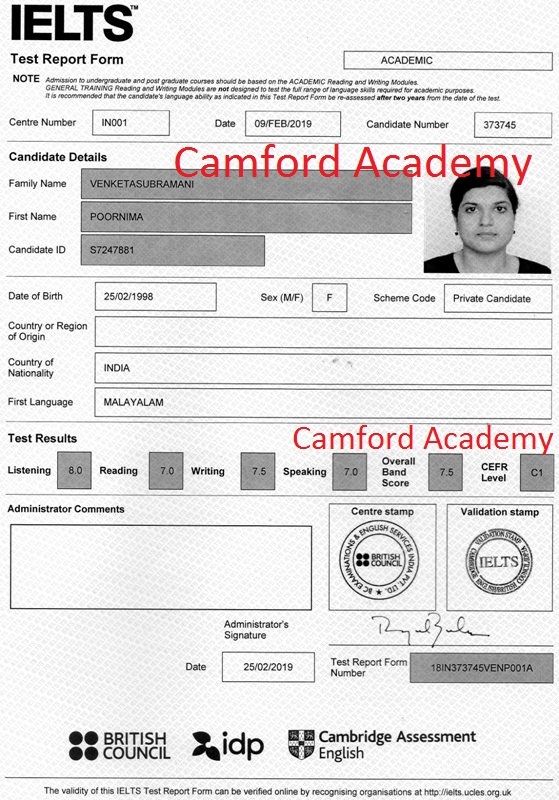 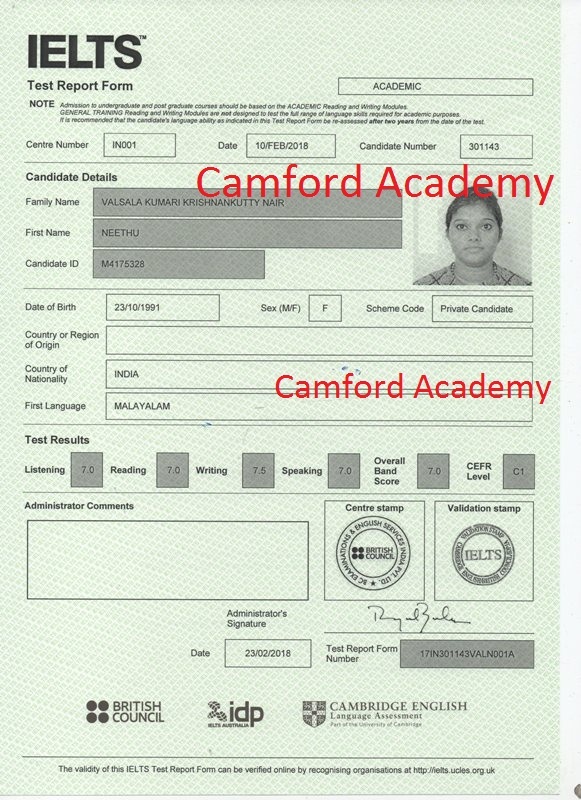 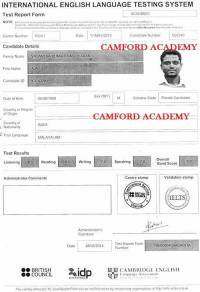 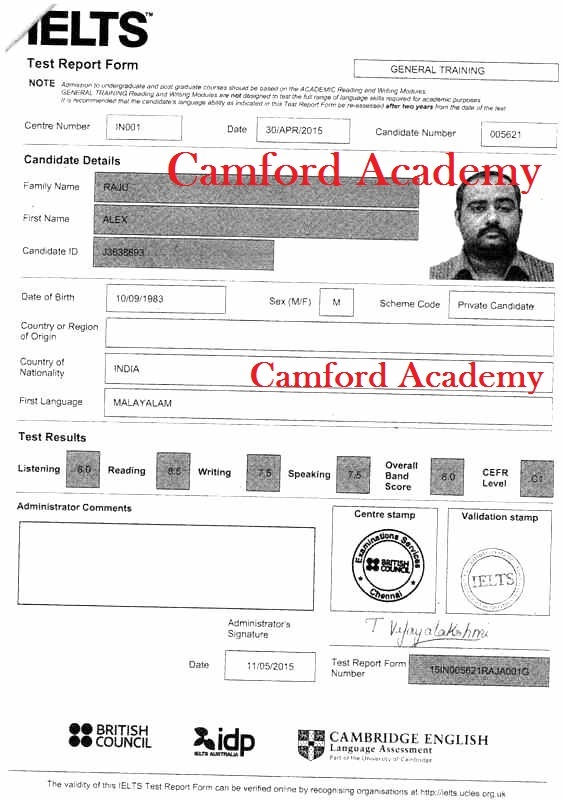 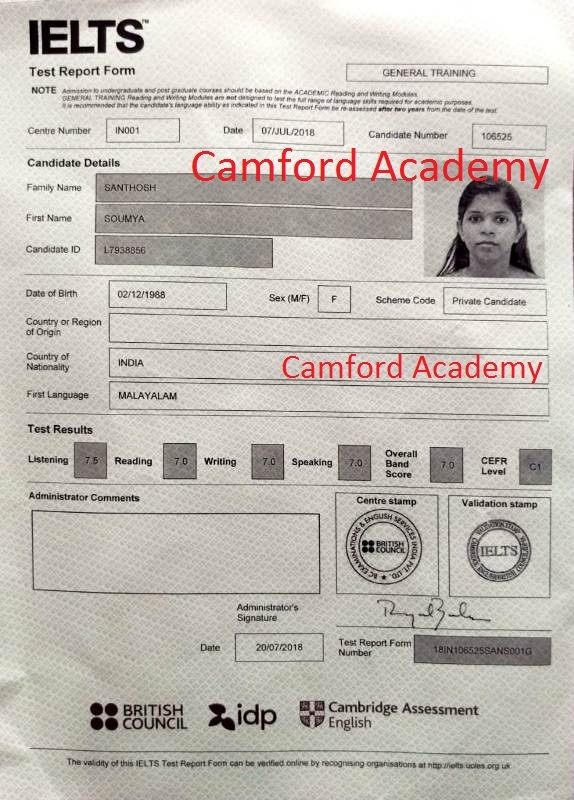 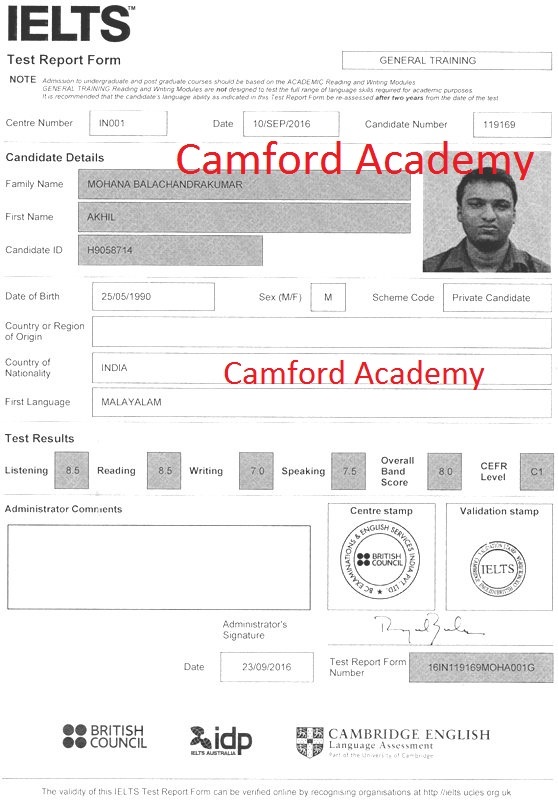 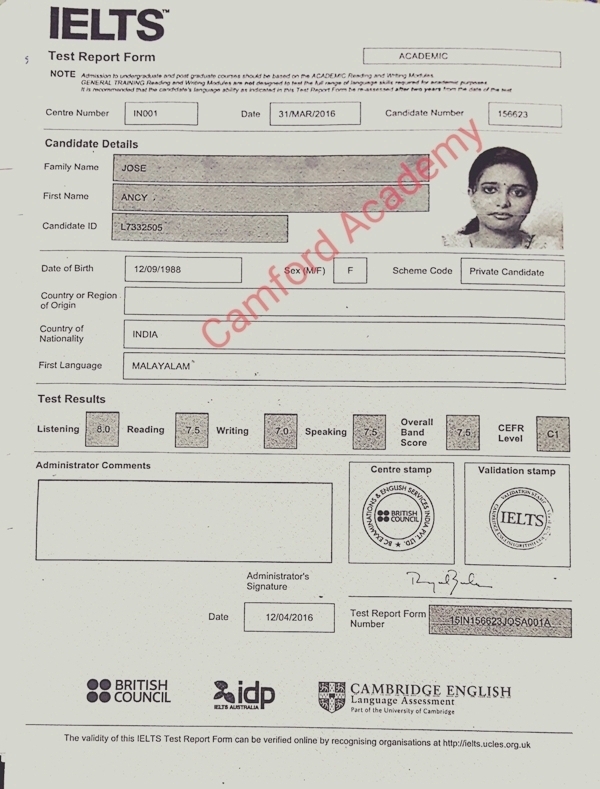 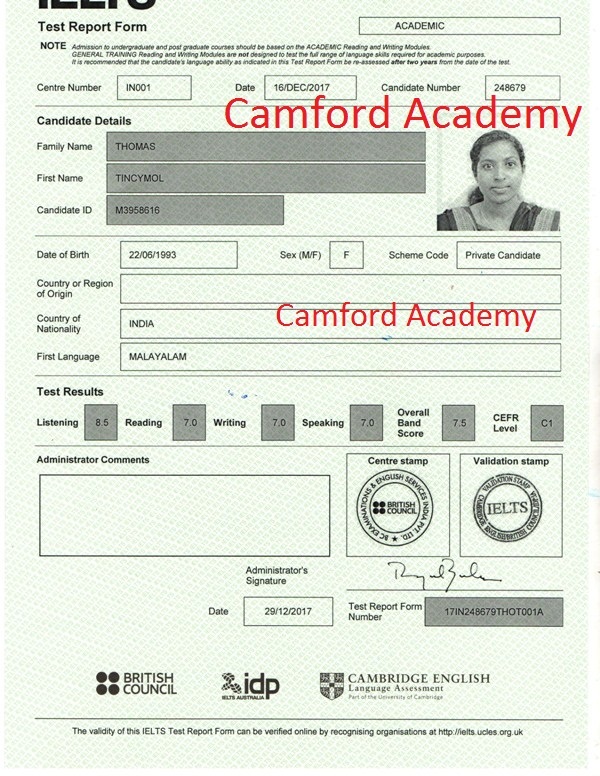 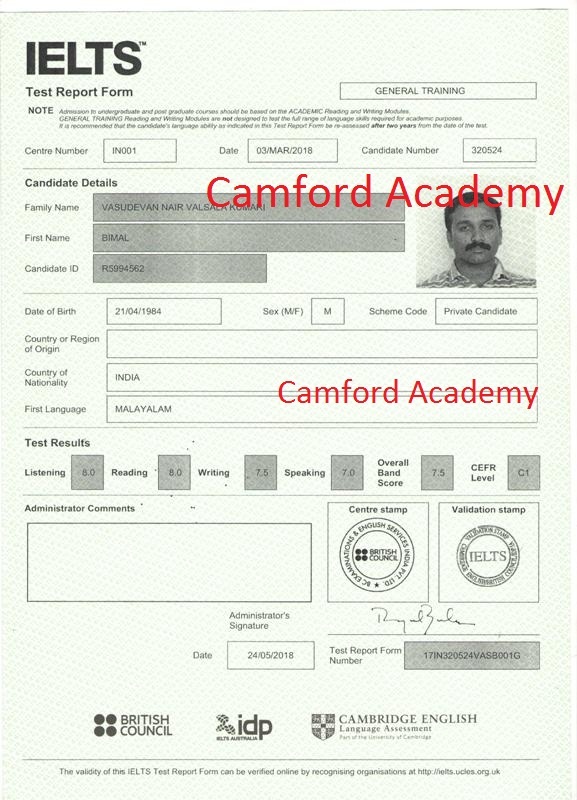 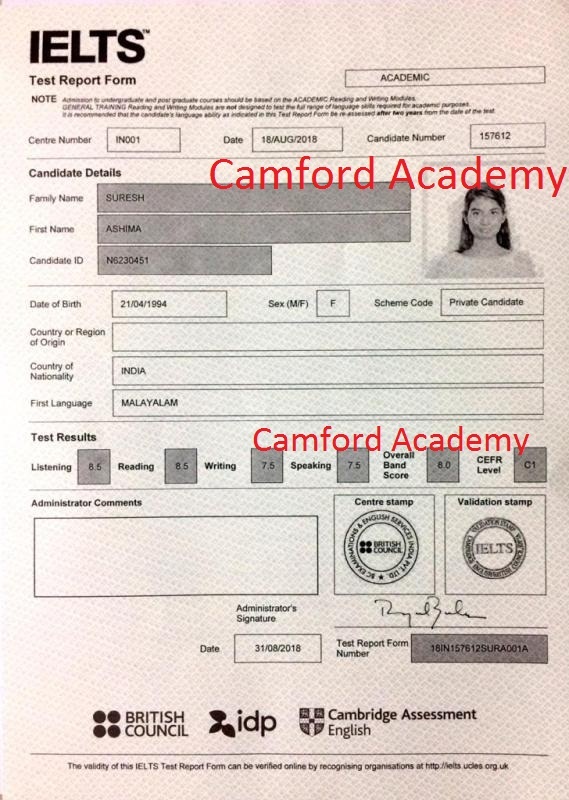 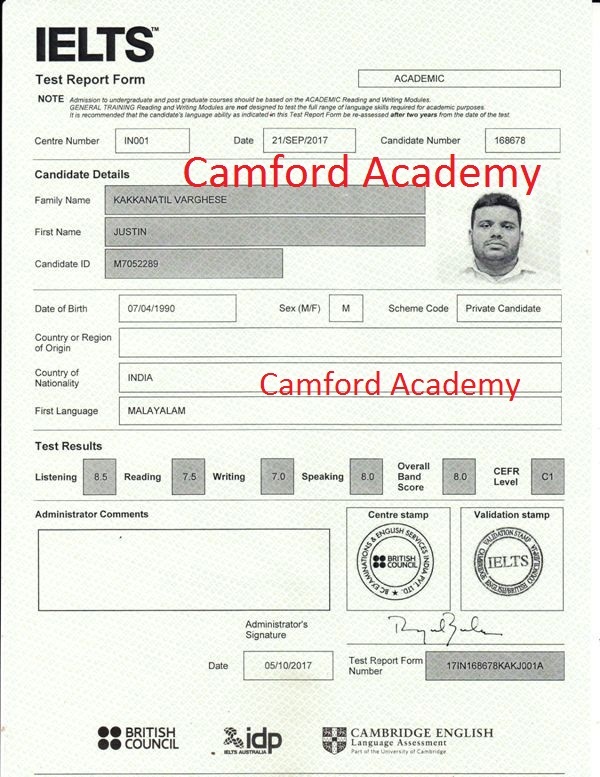 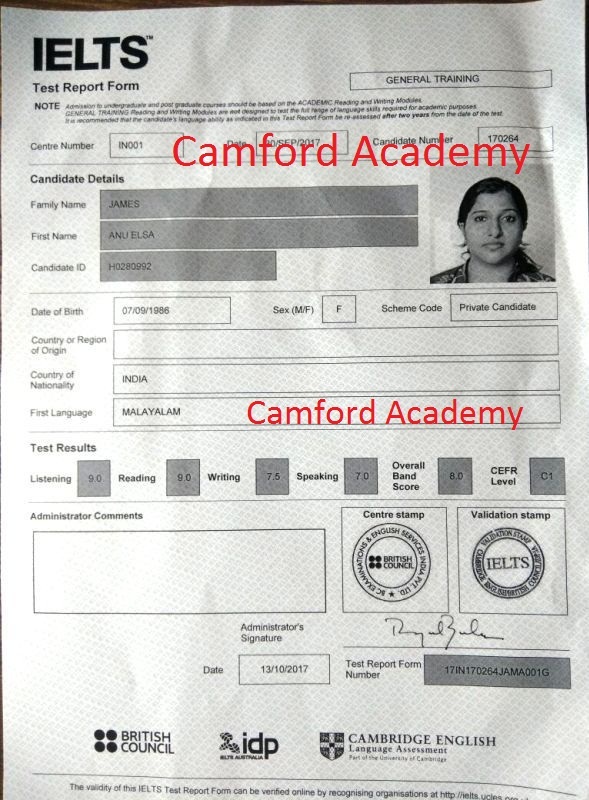 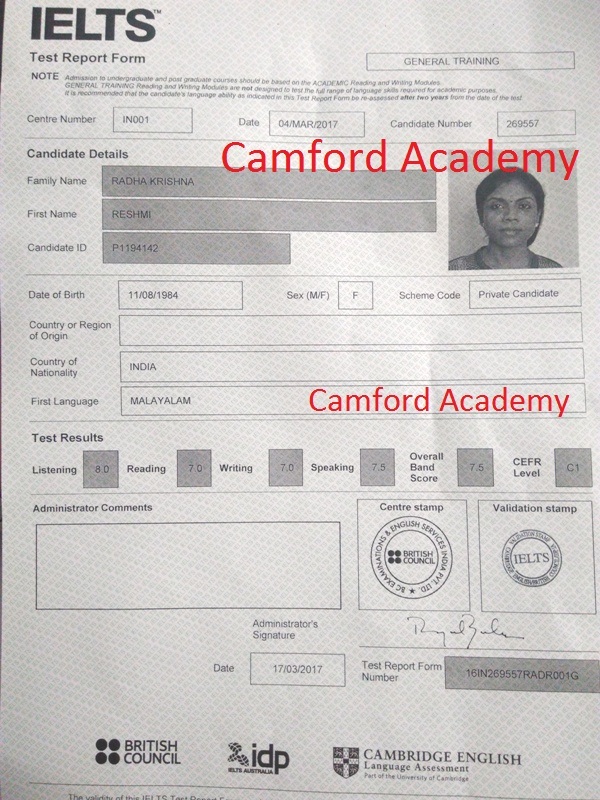 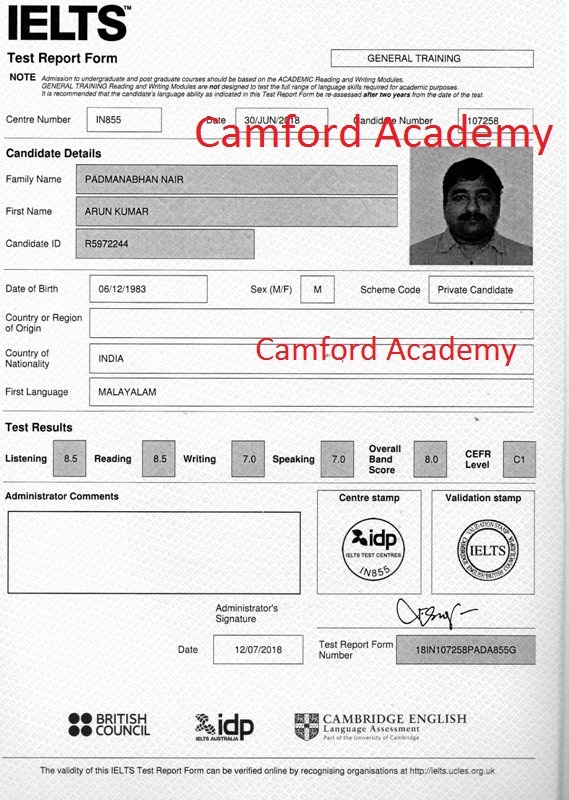 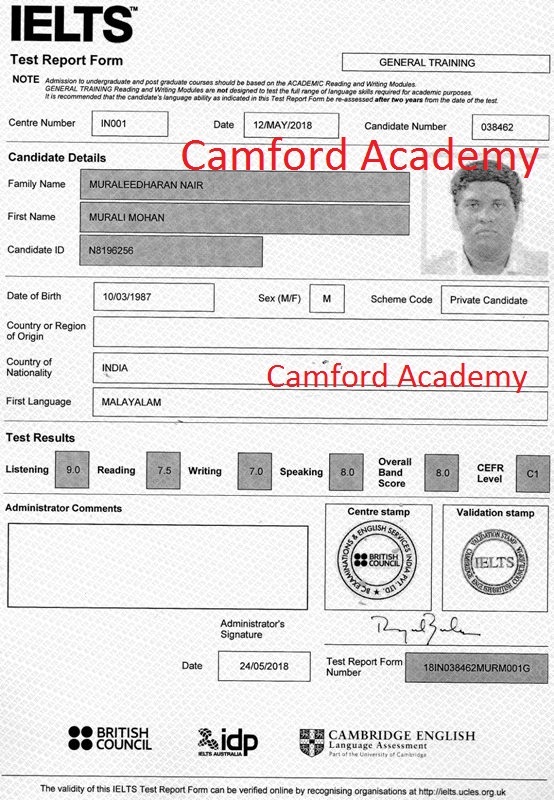 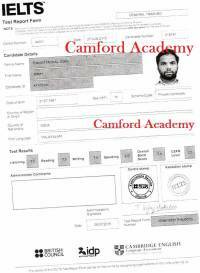 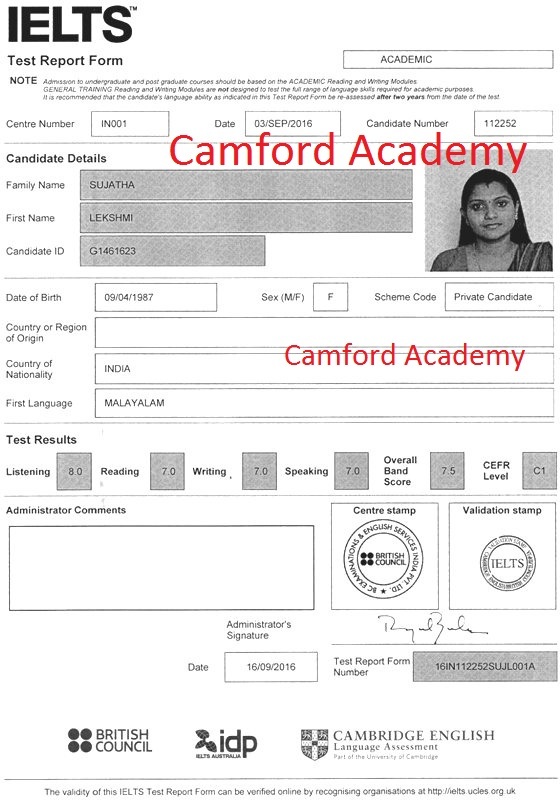 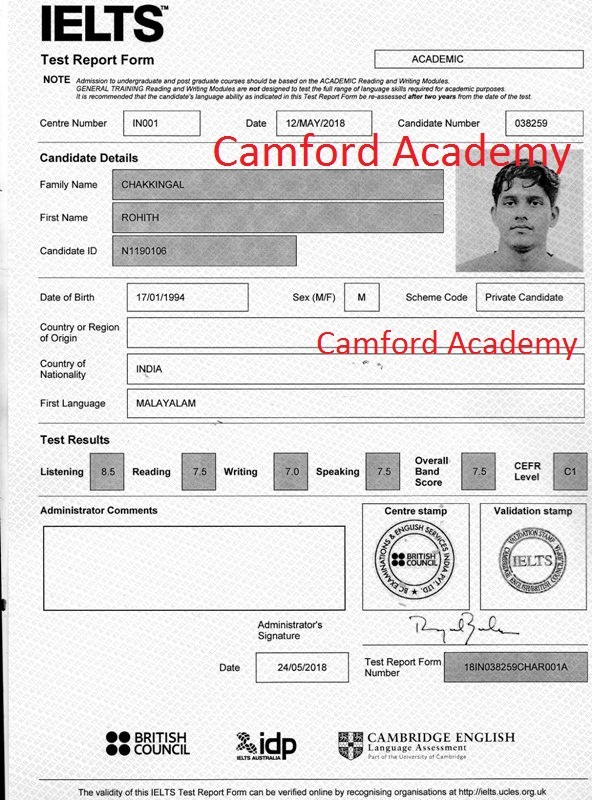 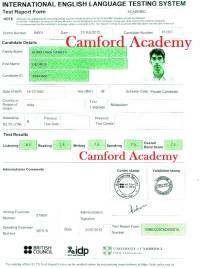 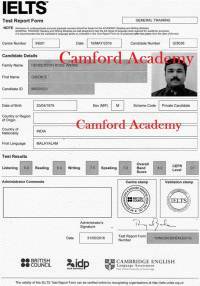 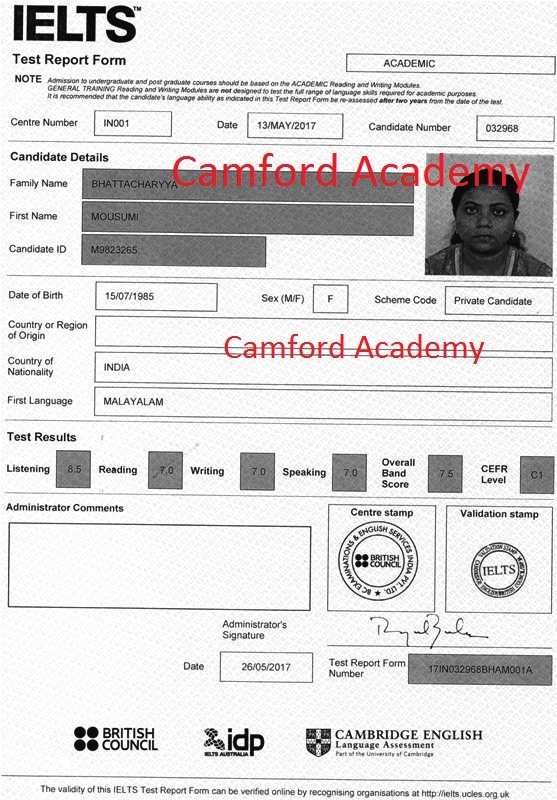 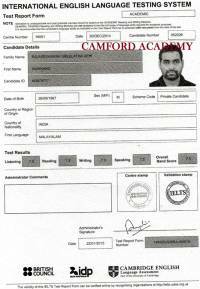 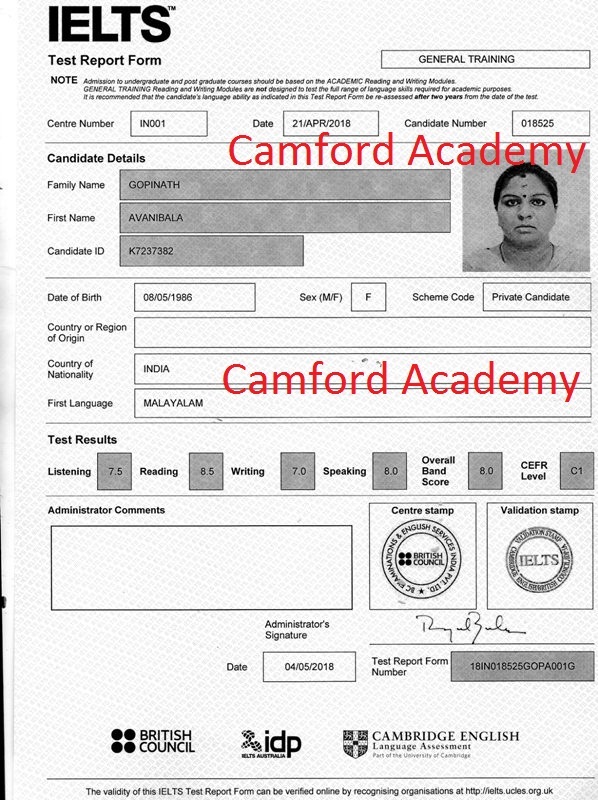 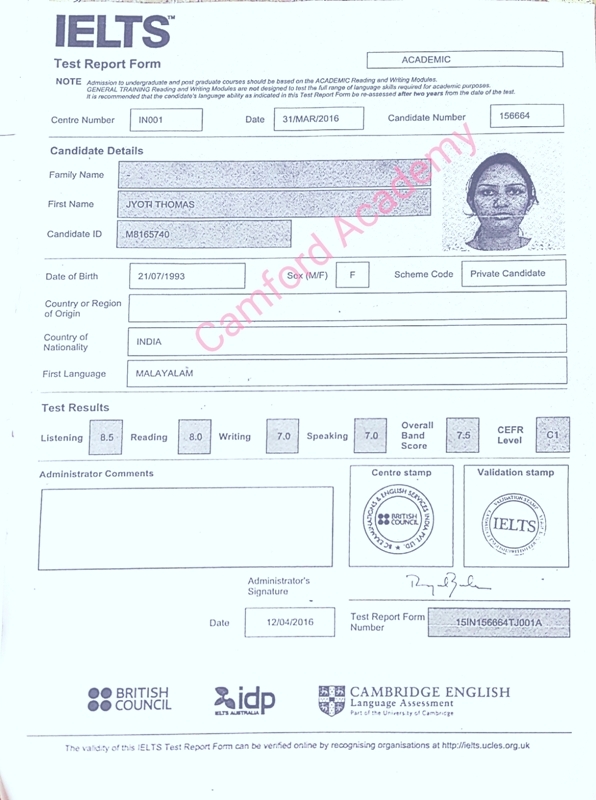 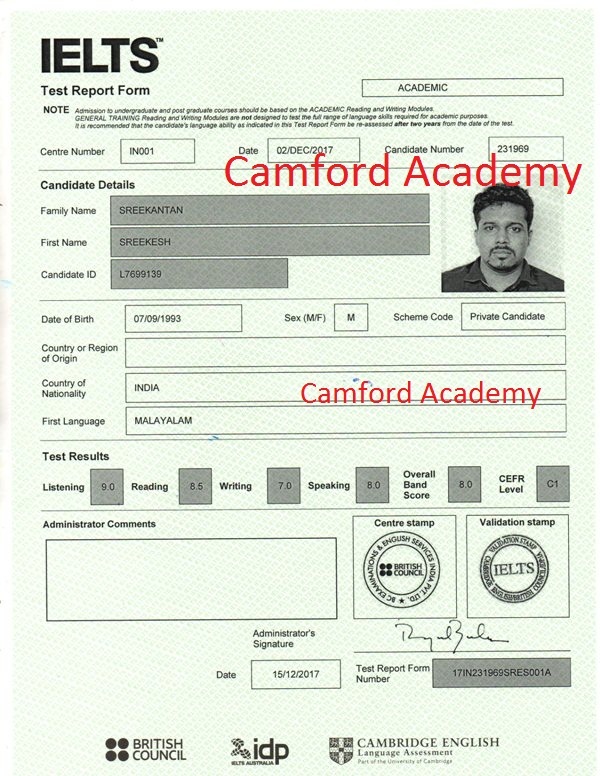 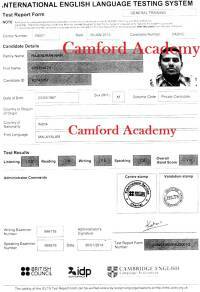 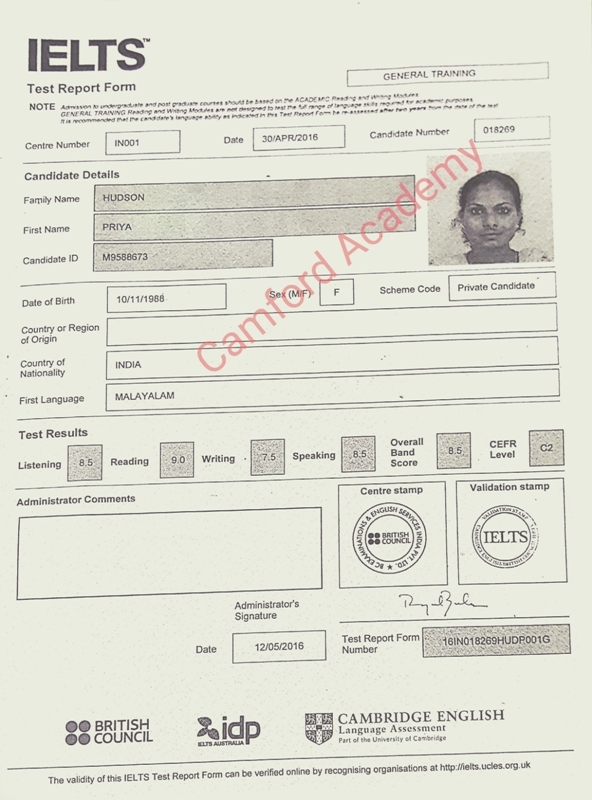 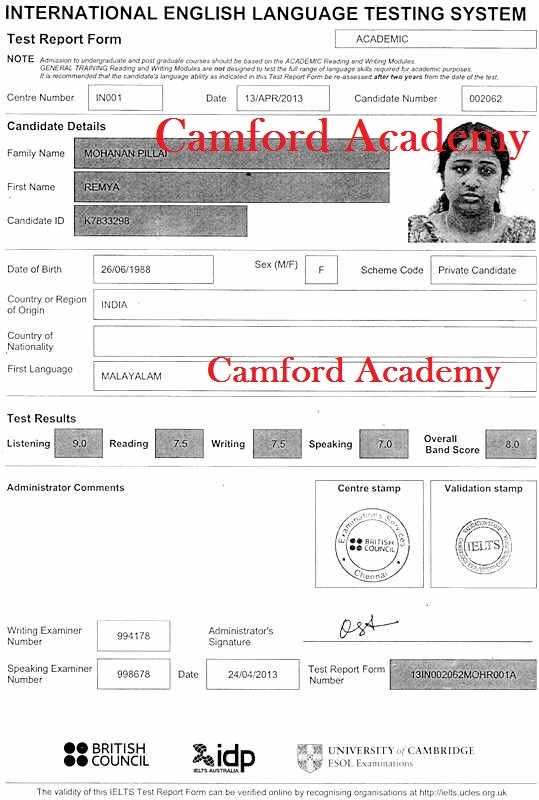 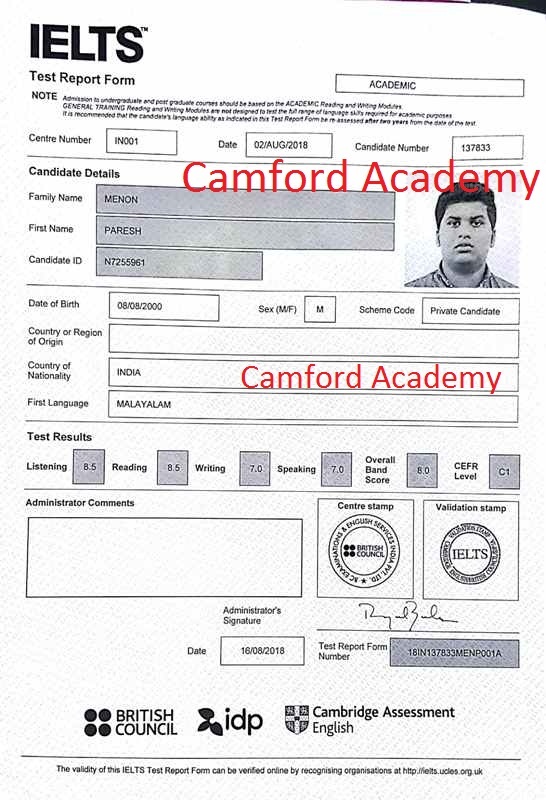 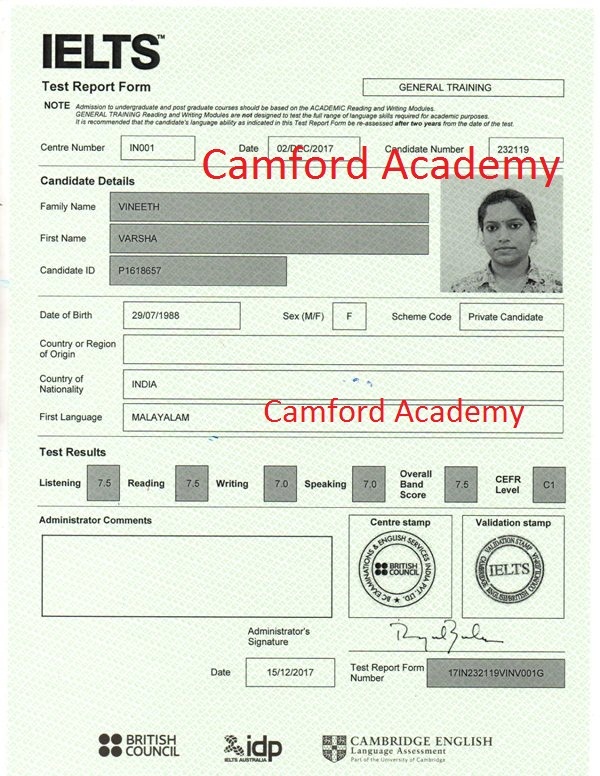 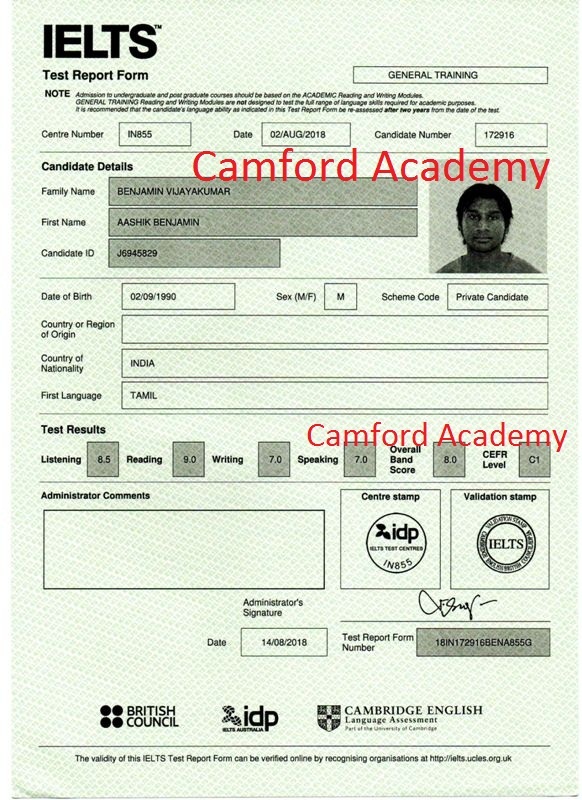 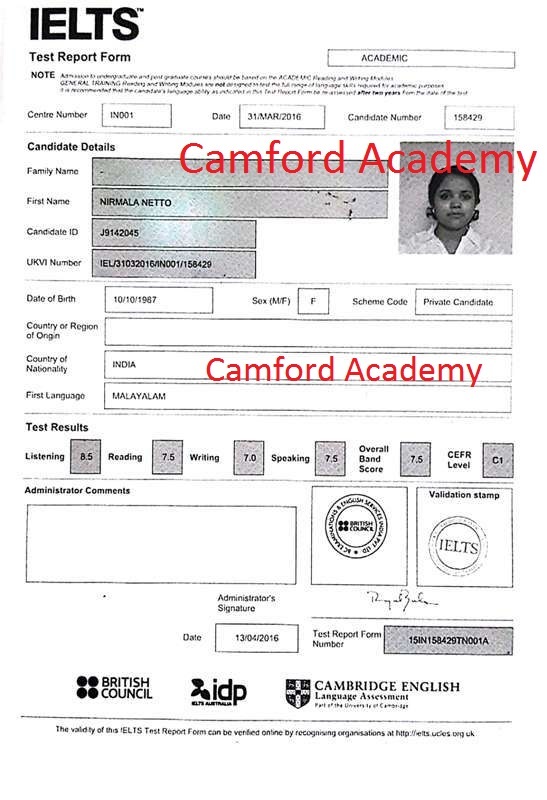 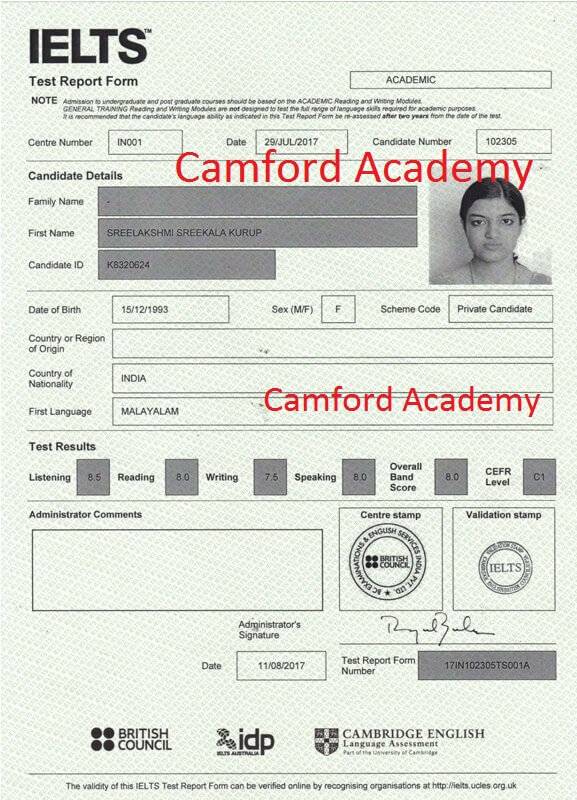 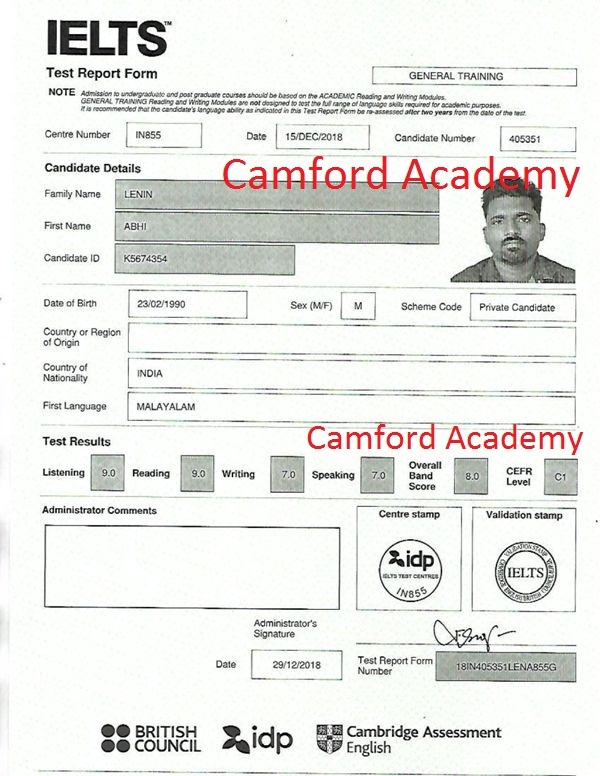 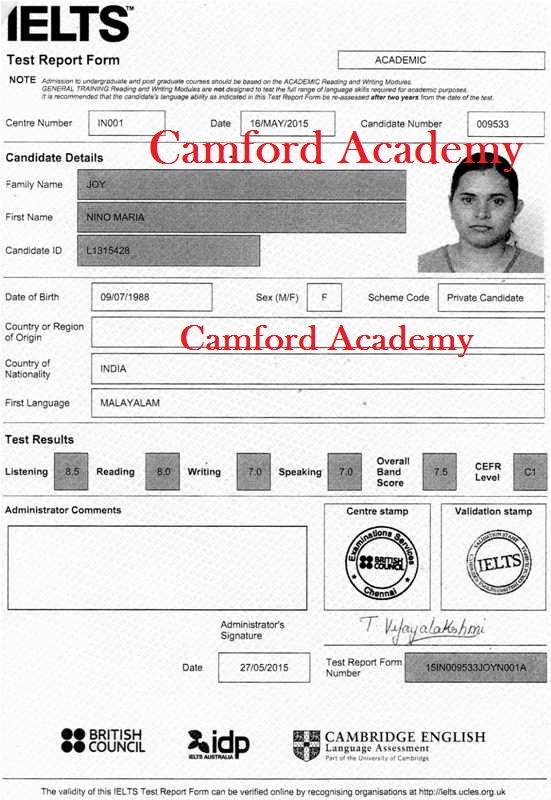 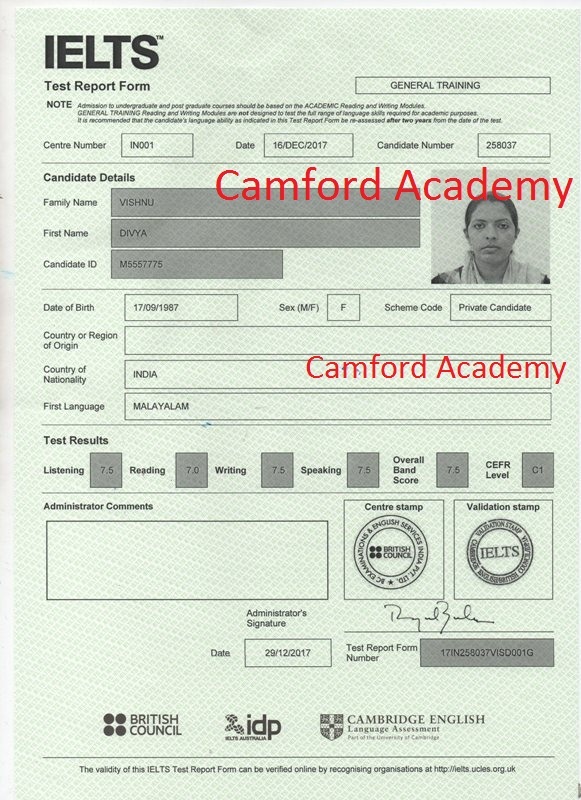 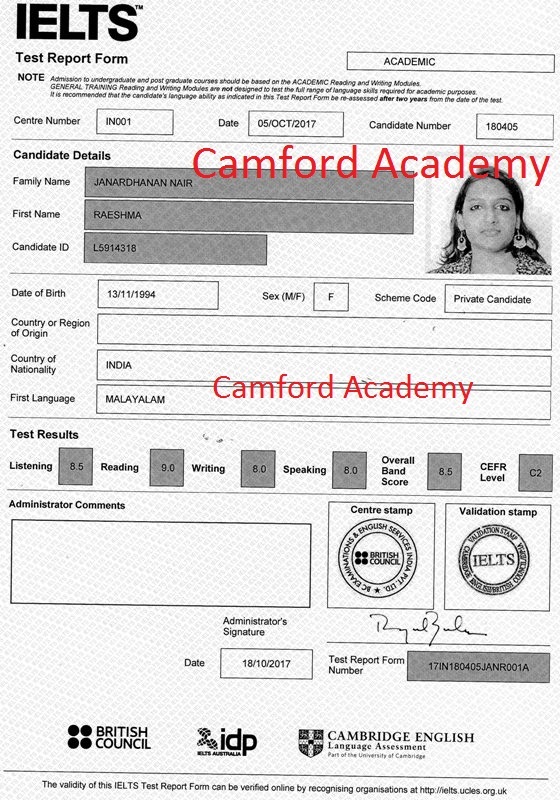 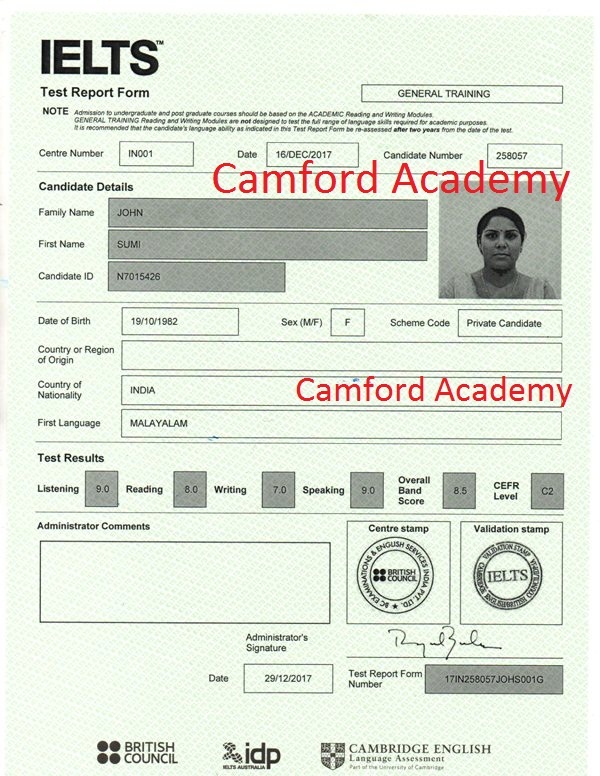 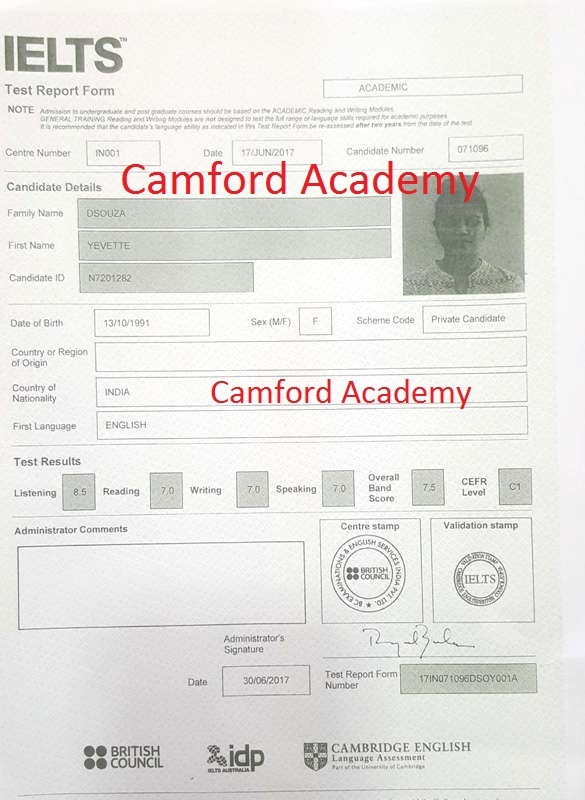 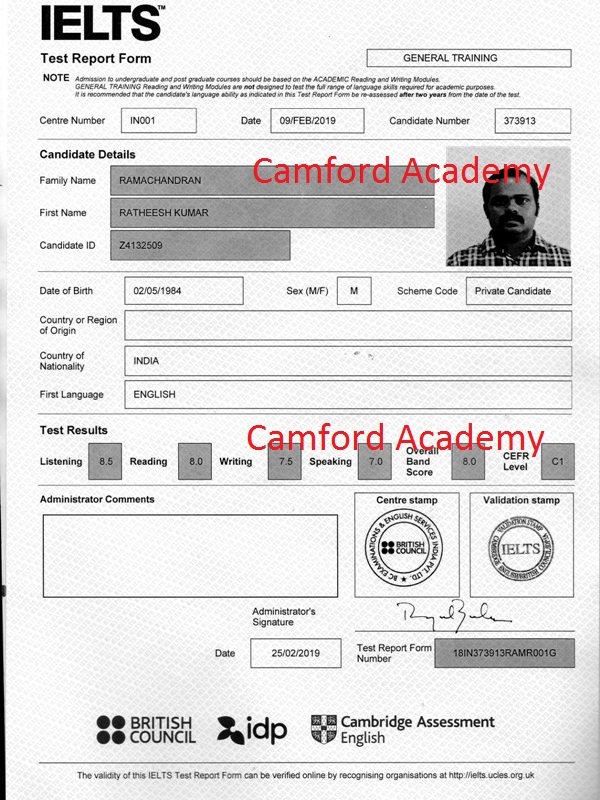 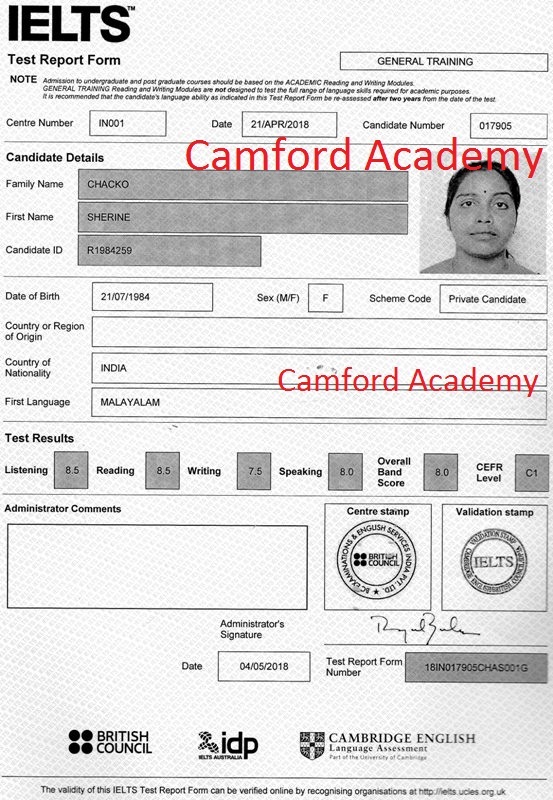 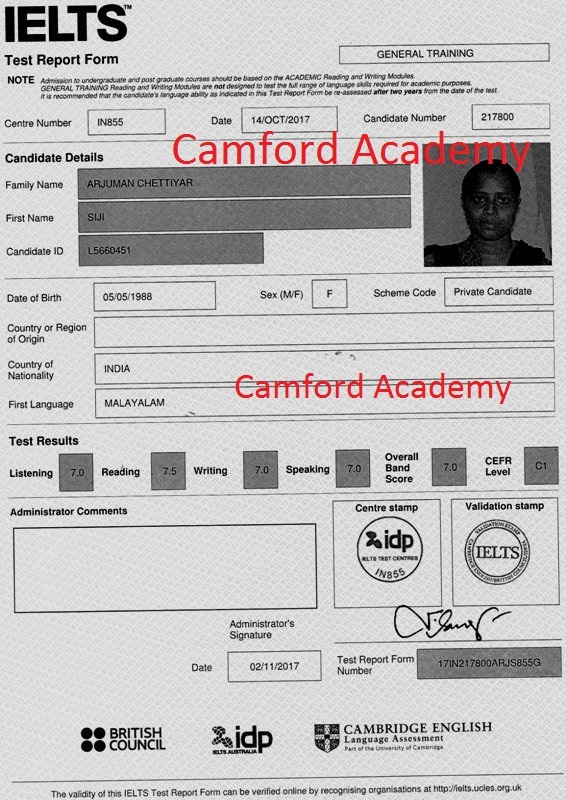 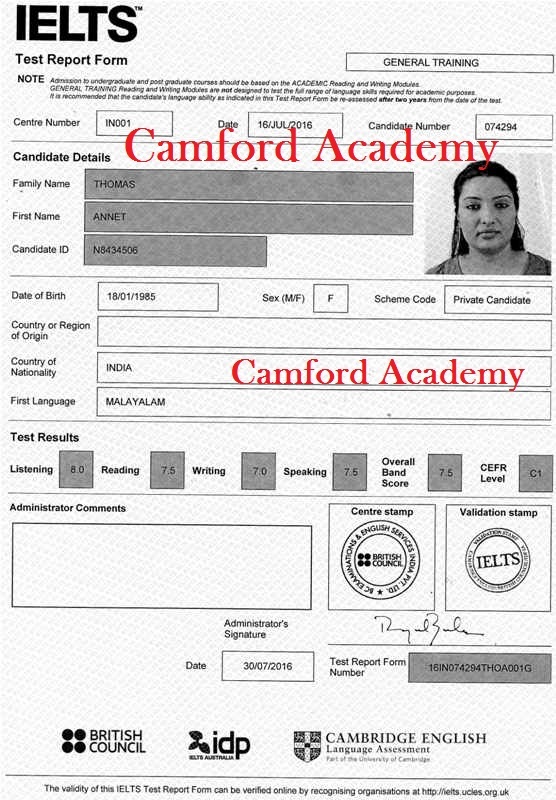 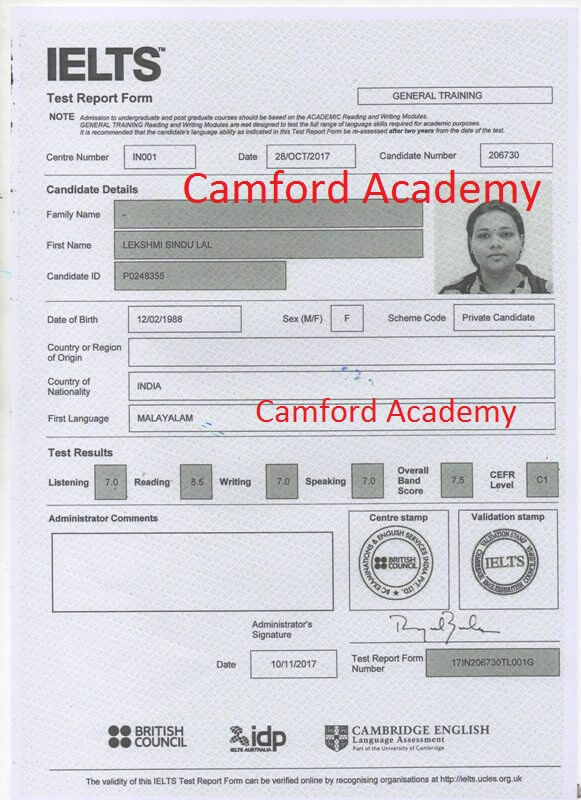 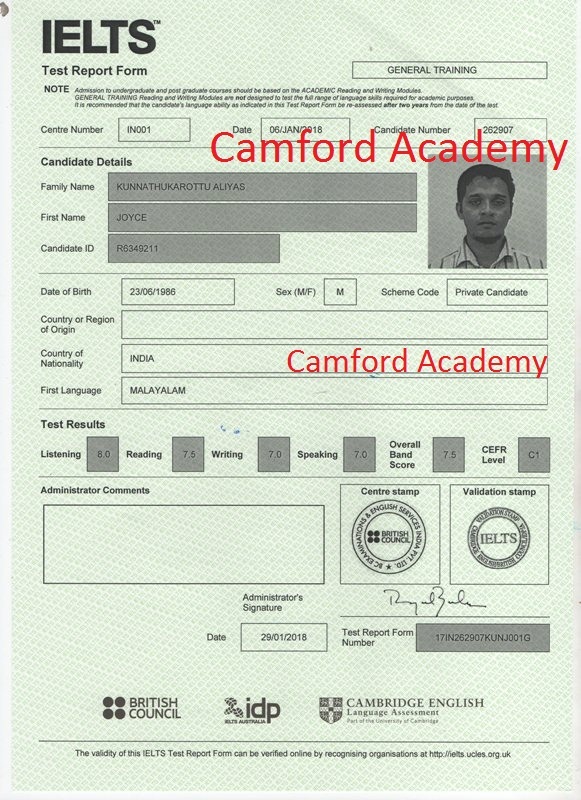 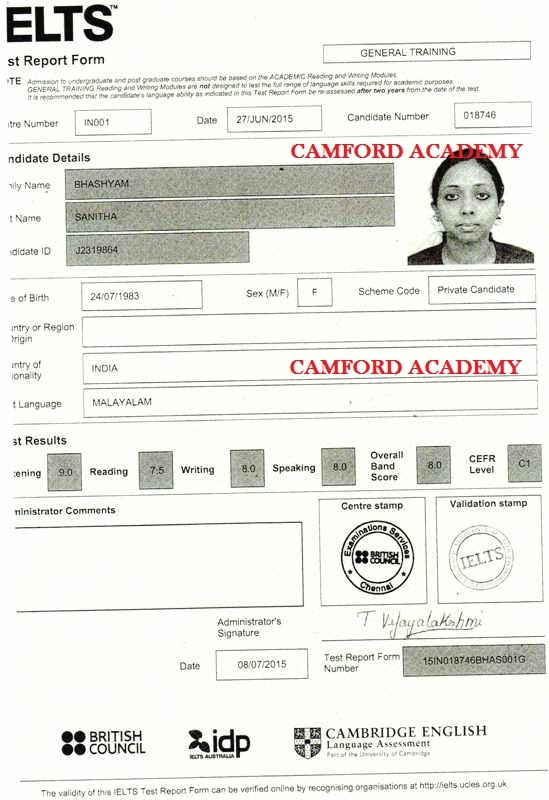 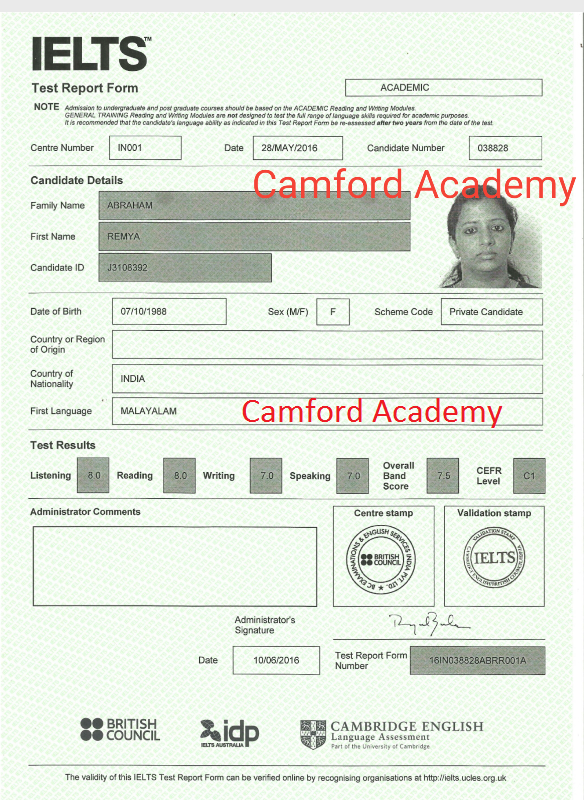 These are the proofs of the success of Camford Academy as the best ielts preparation centre in Kerala that no other ielts coaching centres in India can show. 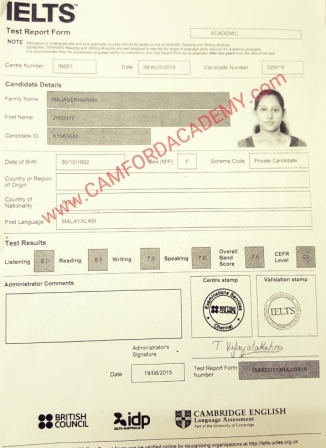 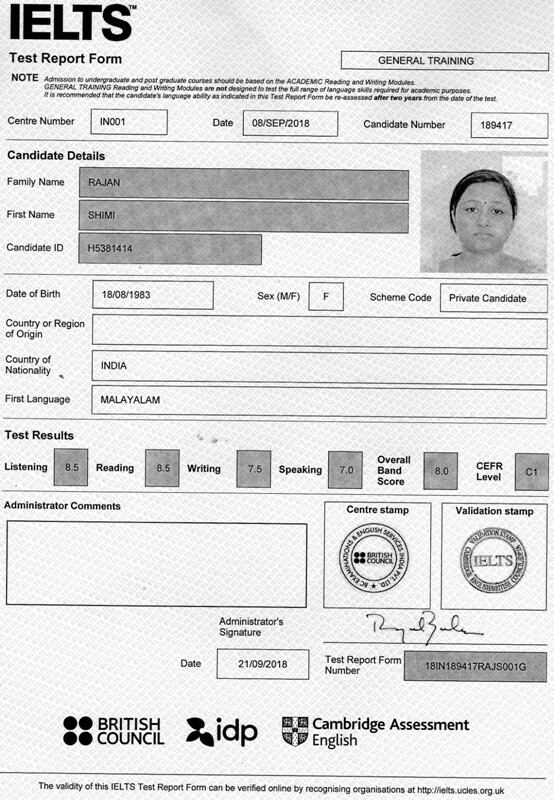 Below are IELTS Test Result forms of some our students.